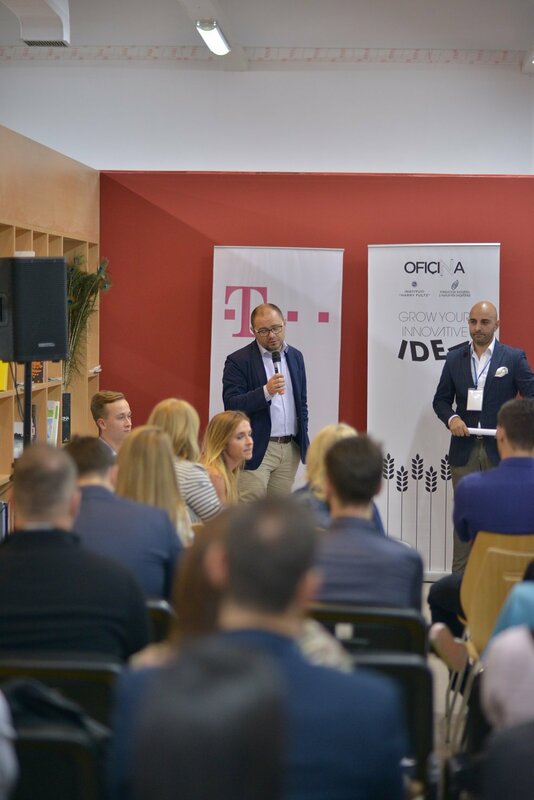 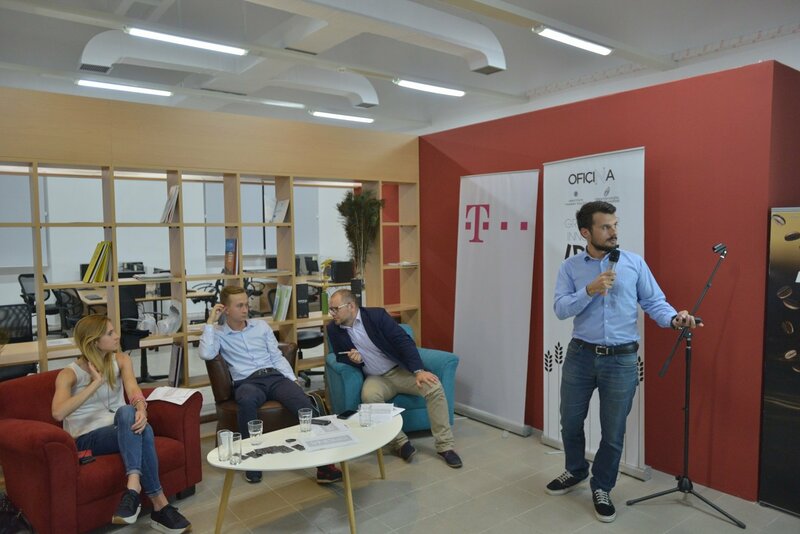 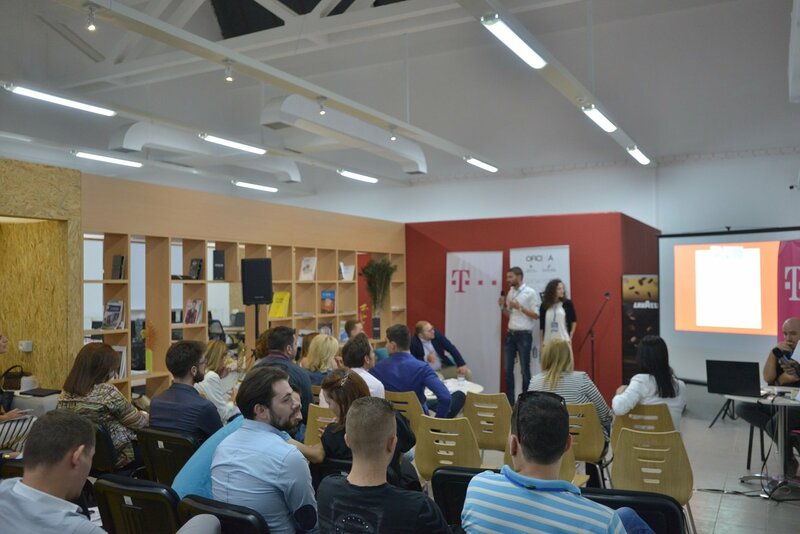 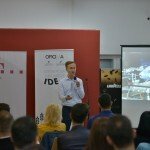 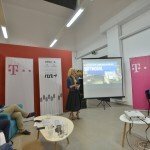 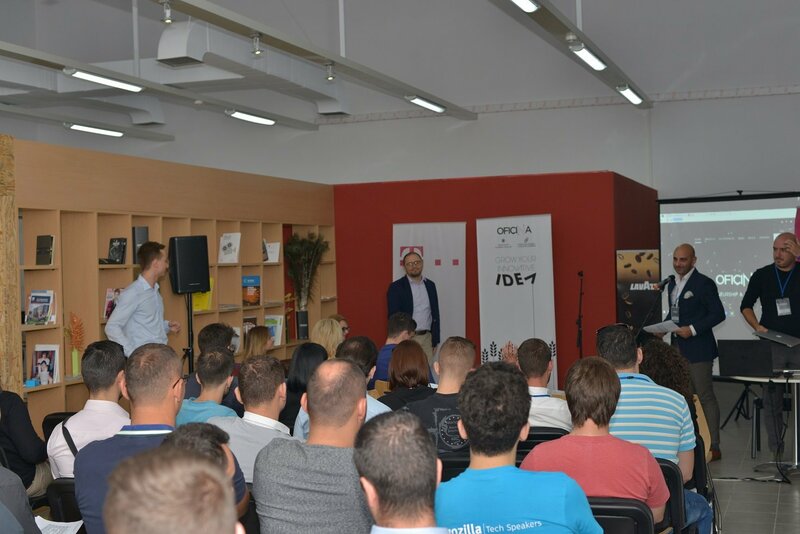 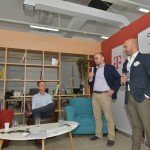 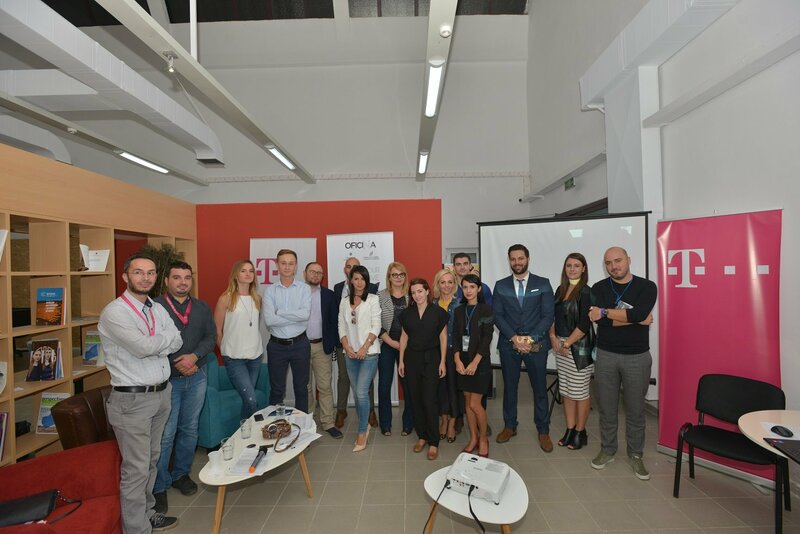 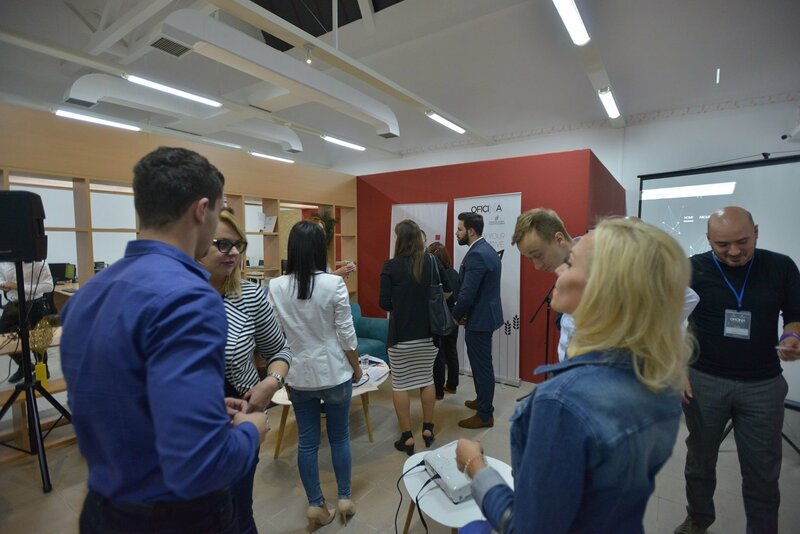 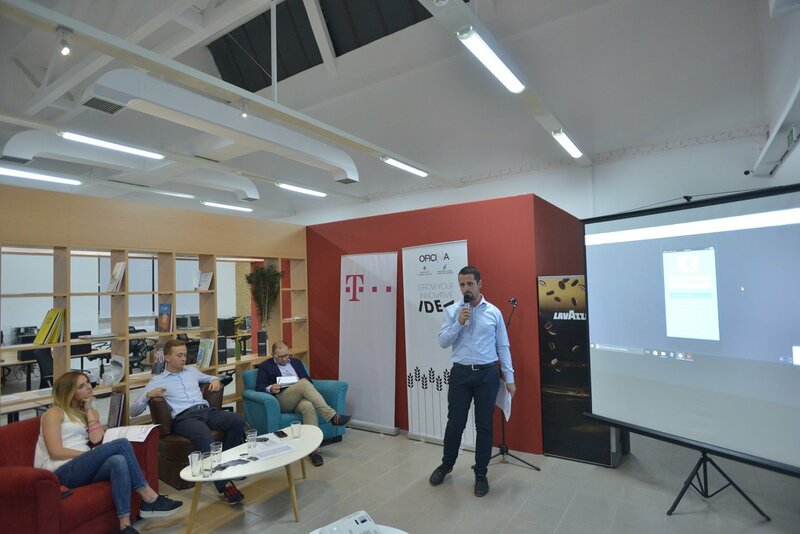 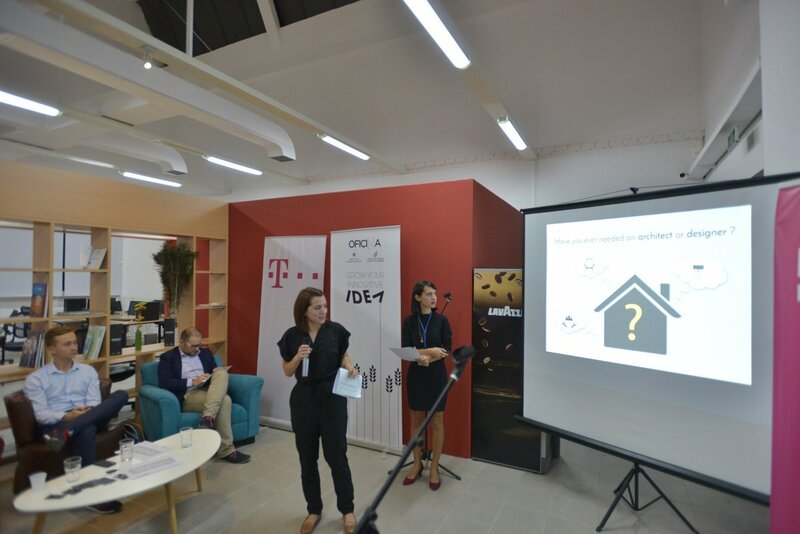 hub:raum – innovation hub for startups set up by Deutsche Telekom – starts the journey in search for innovative startups around the Central and Eastern Europe with focus in three areas: Smart City, Logistics & Transportation and Omnichannel. 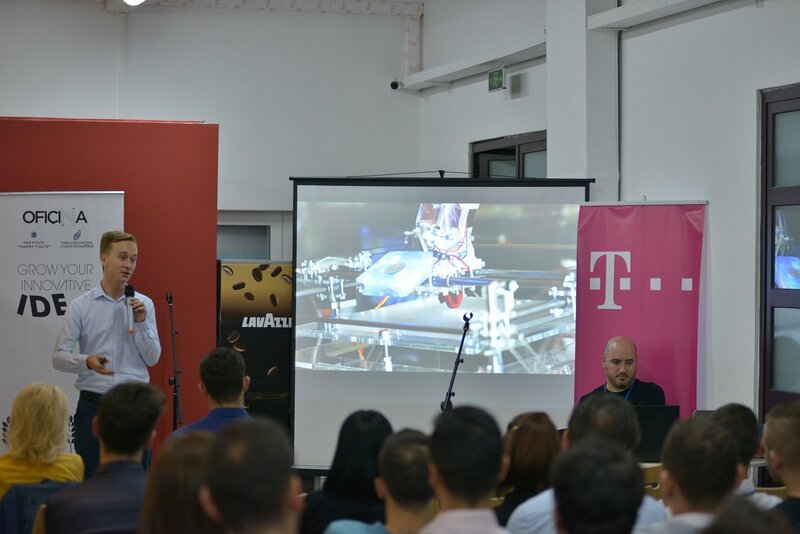 Also startups from other areas and disruptive IoT makers are very welcome. 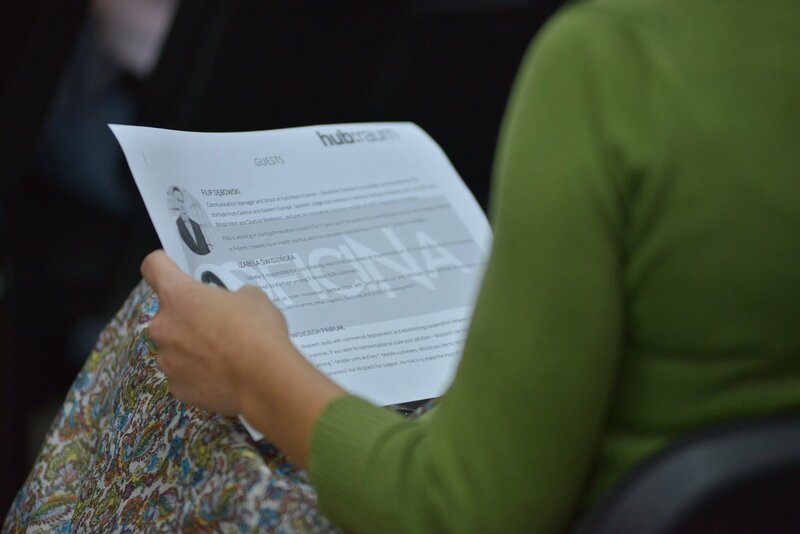 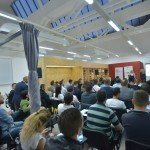 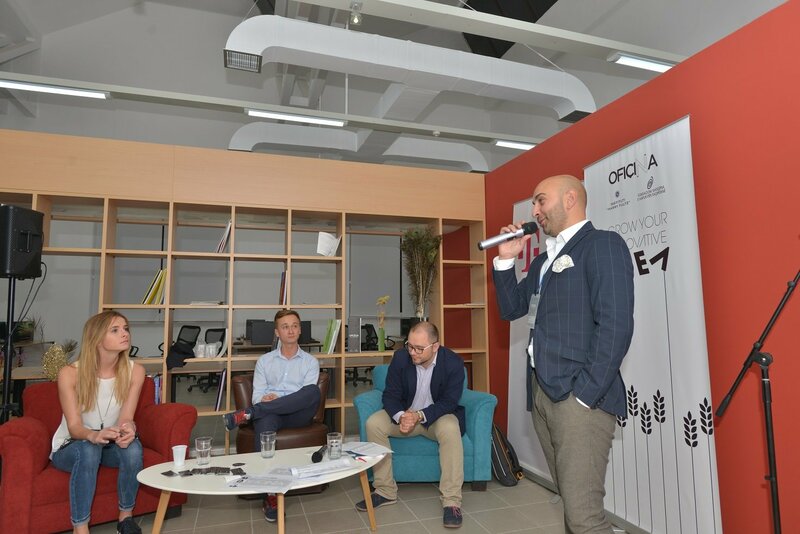 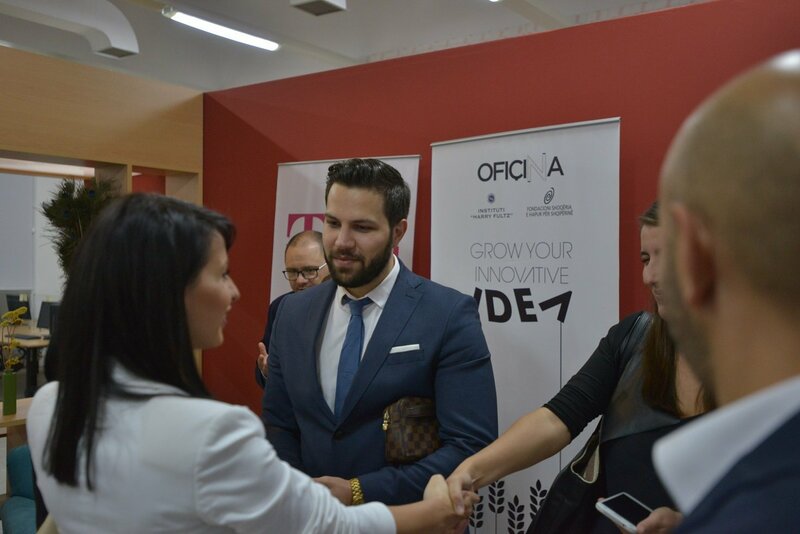 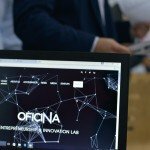 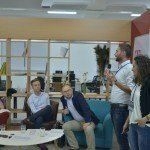 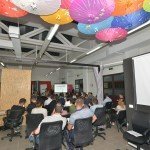 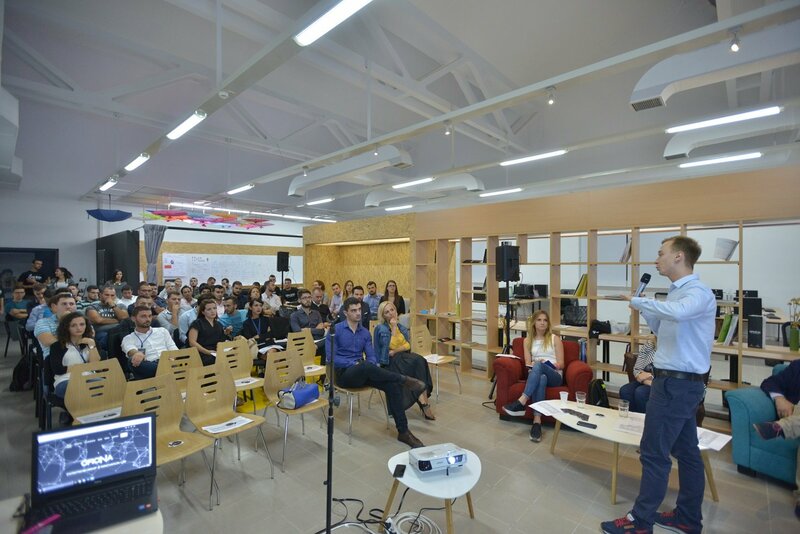 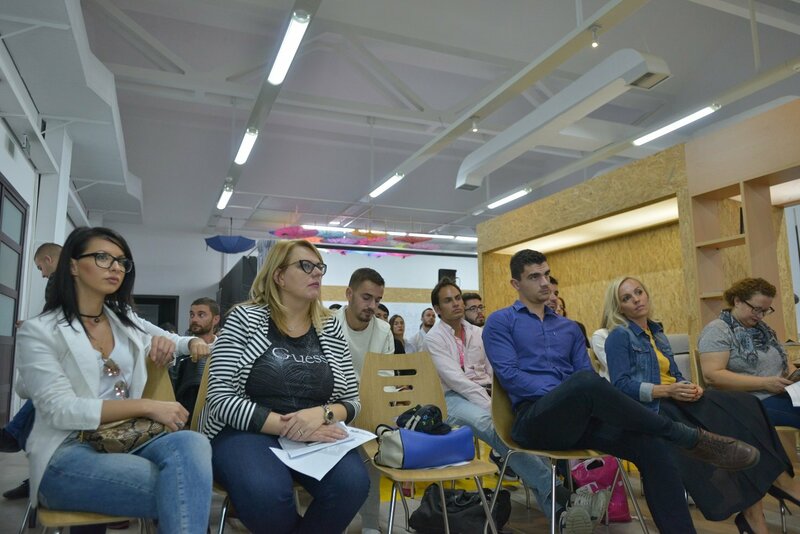 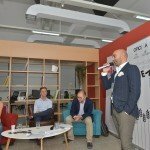 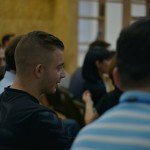 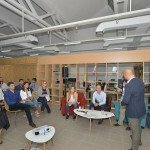 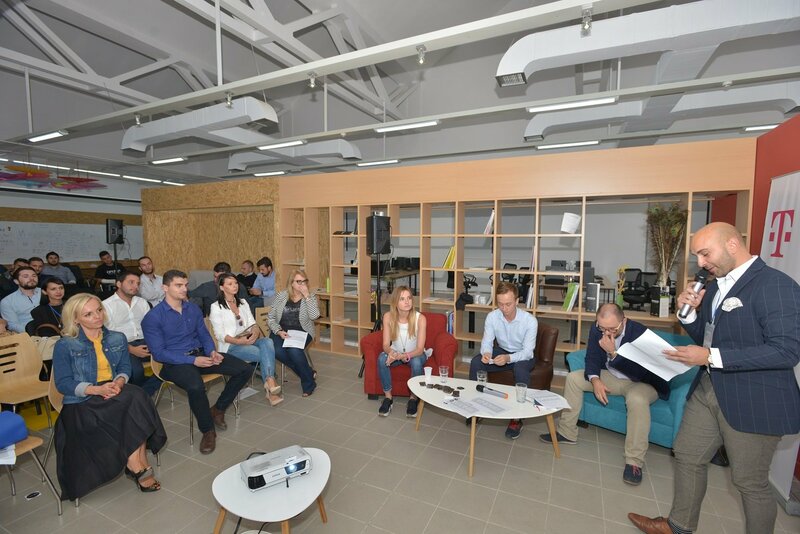 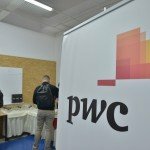 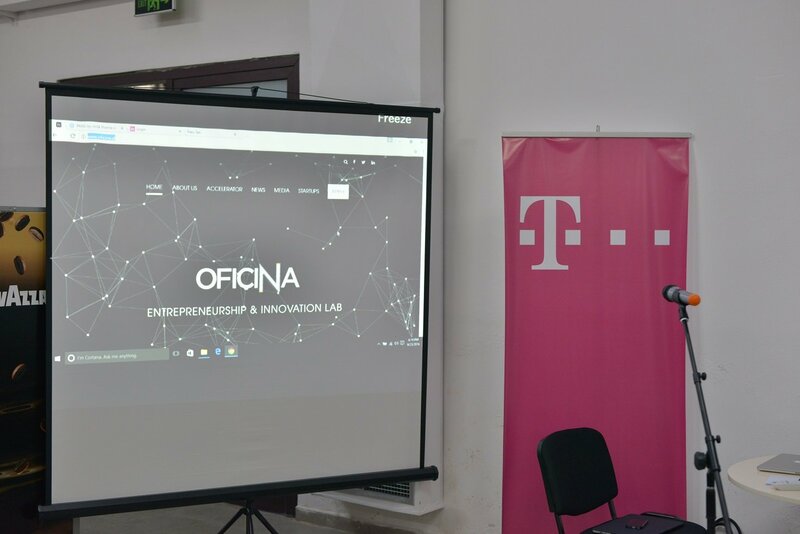 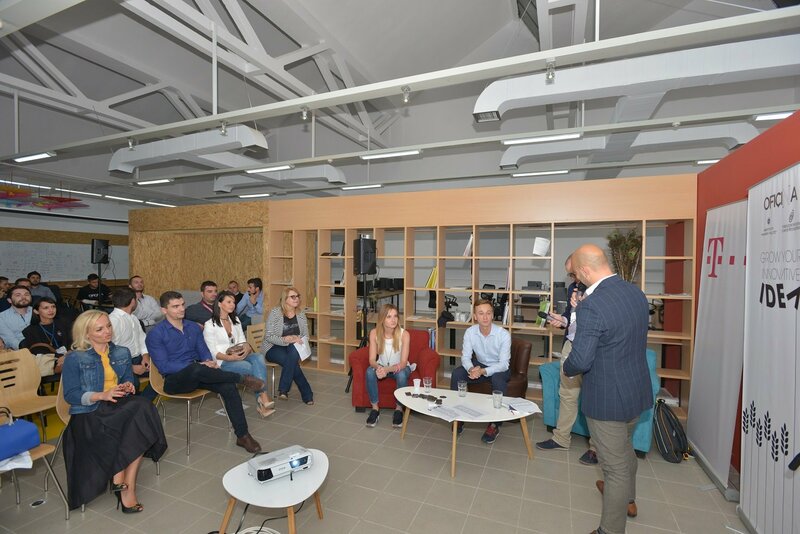 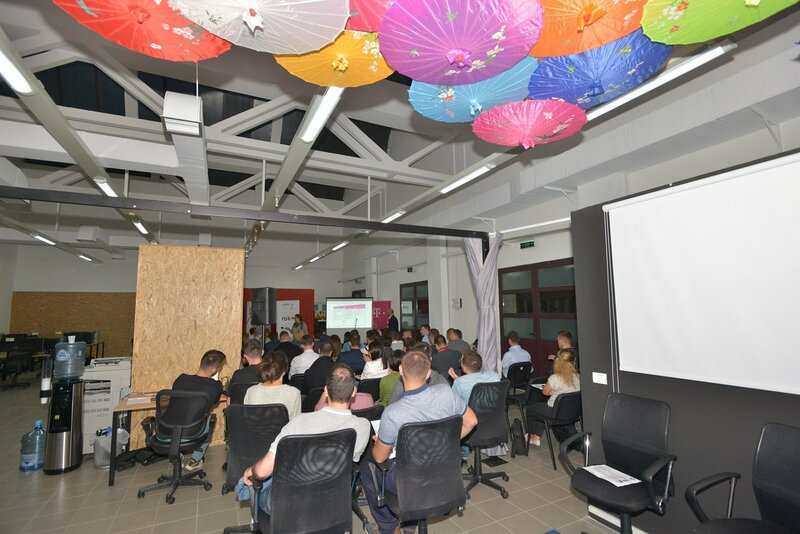 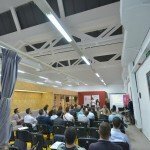 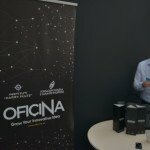 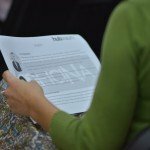 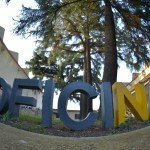 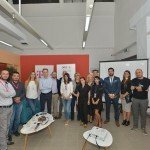 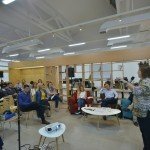 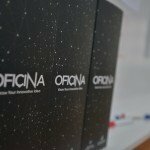 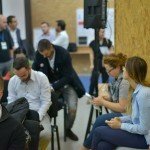 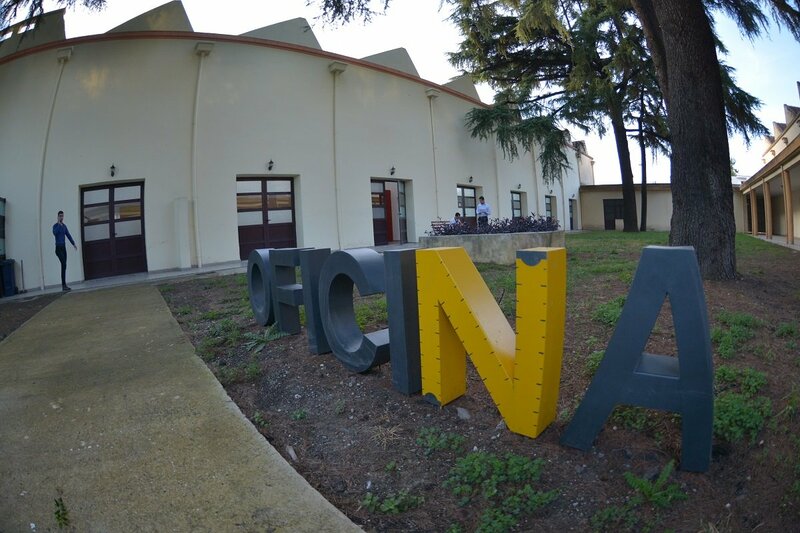 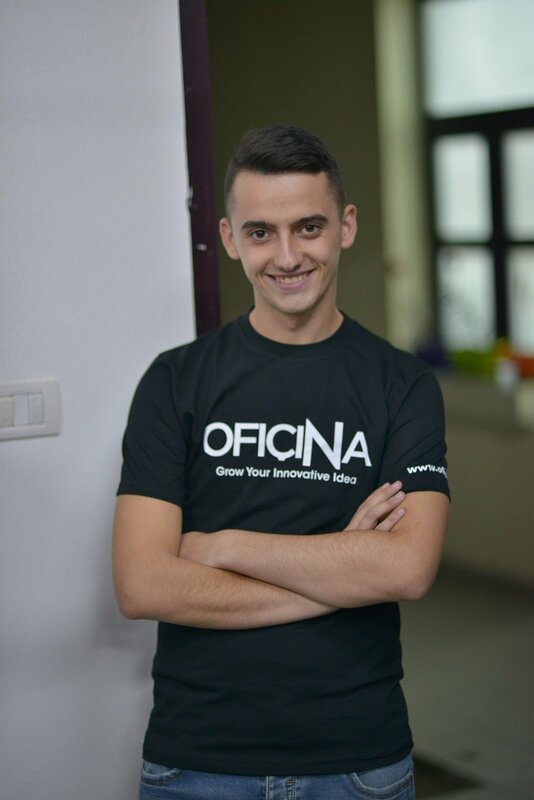 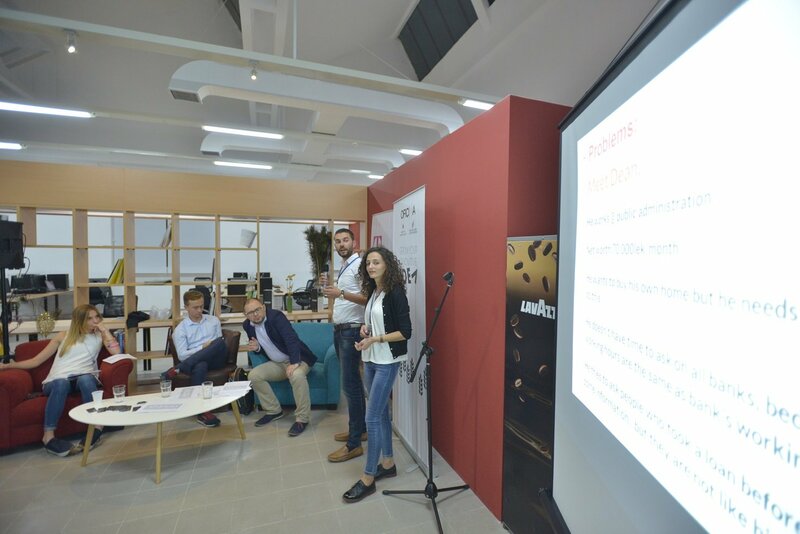 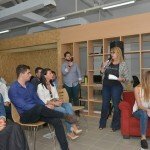 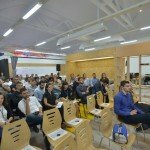 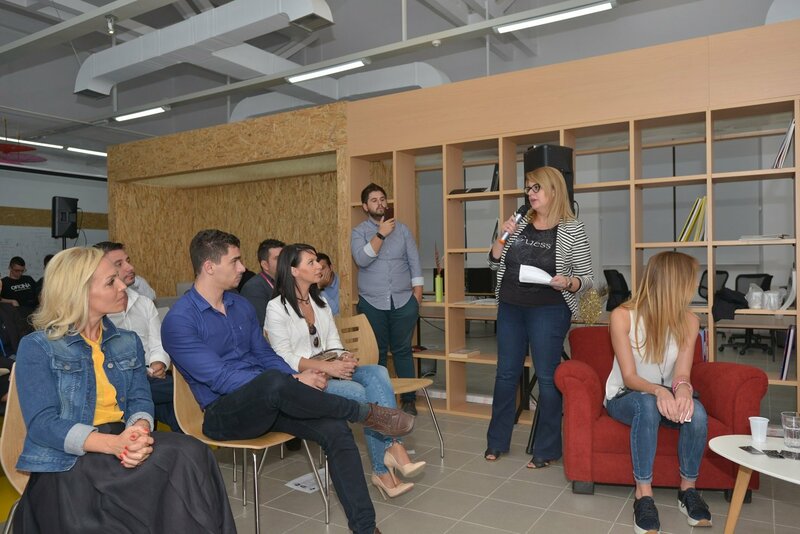 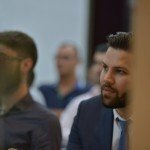 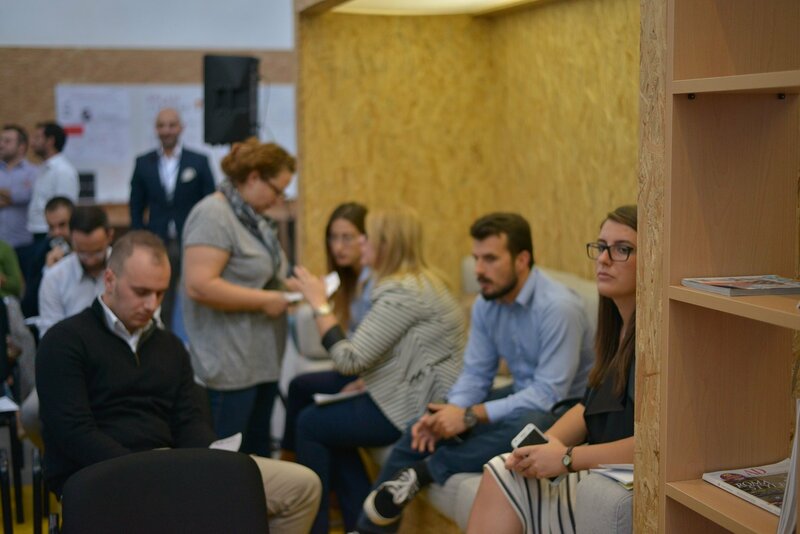 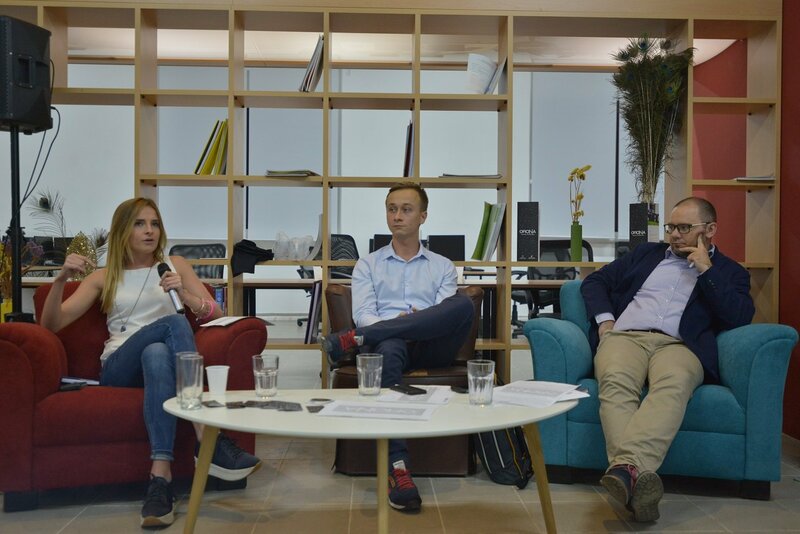 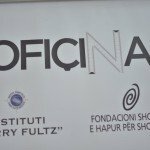 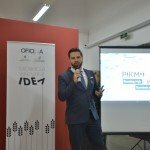 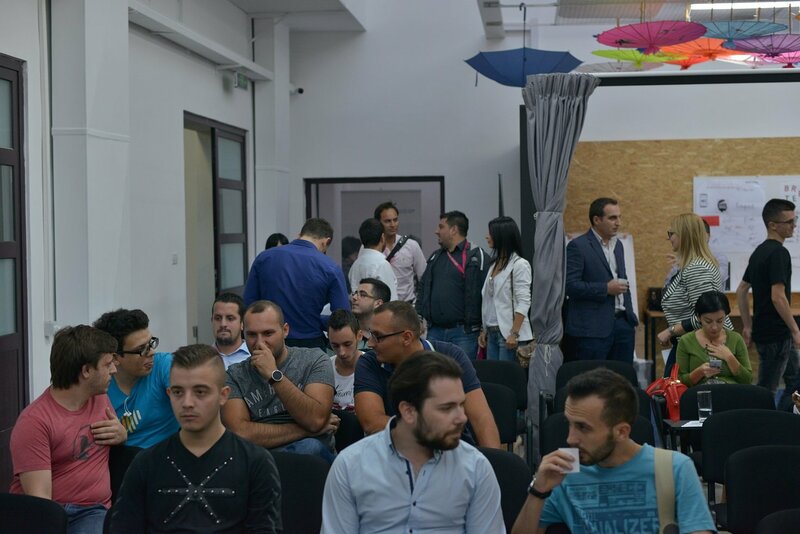 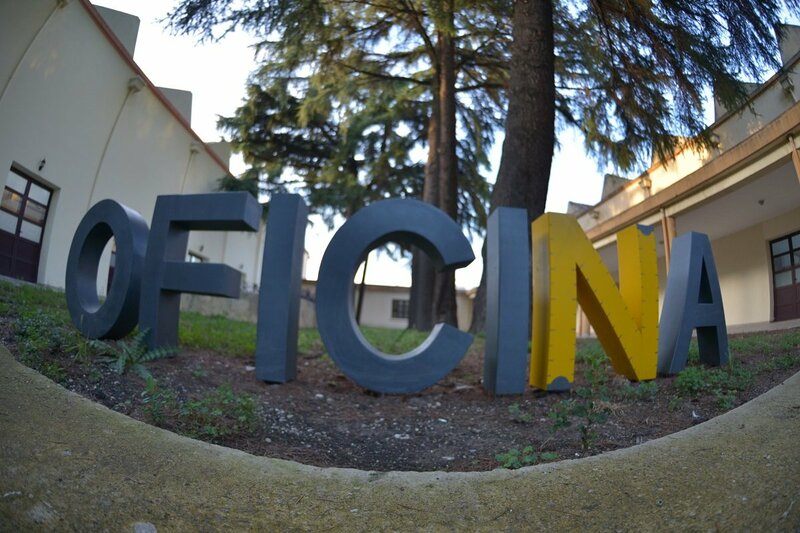 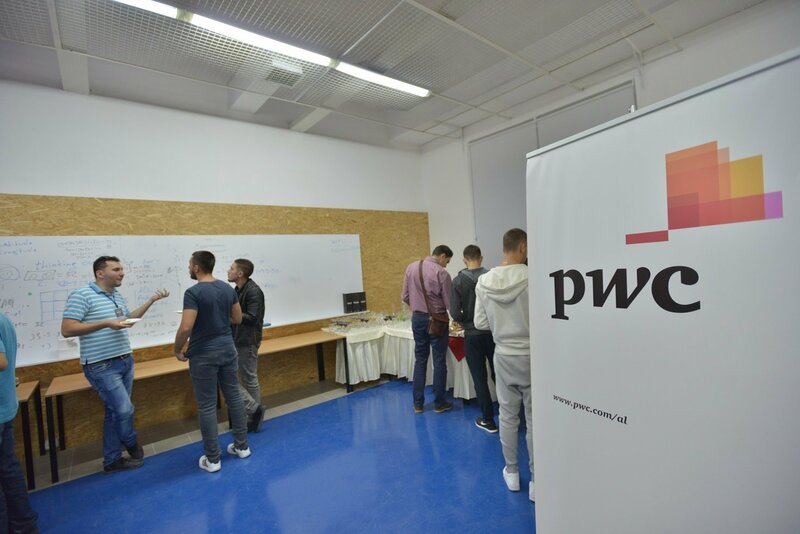 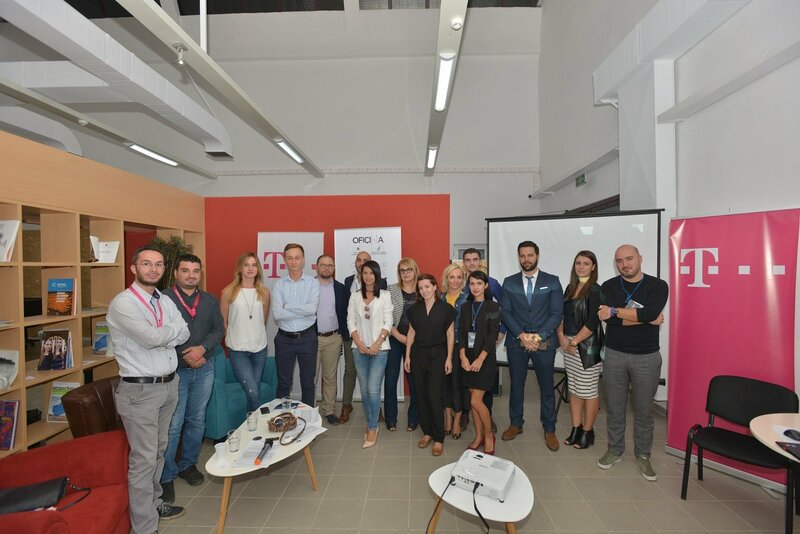 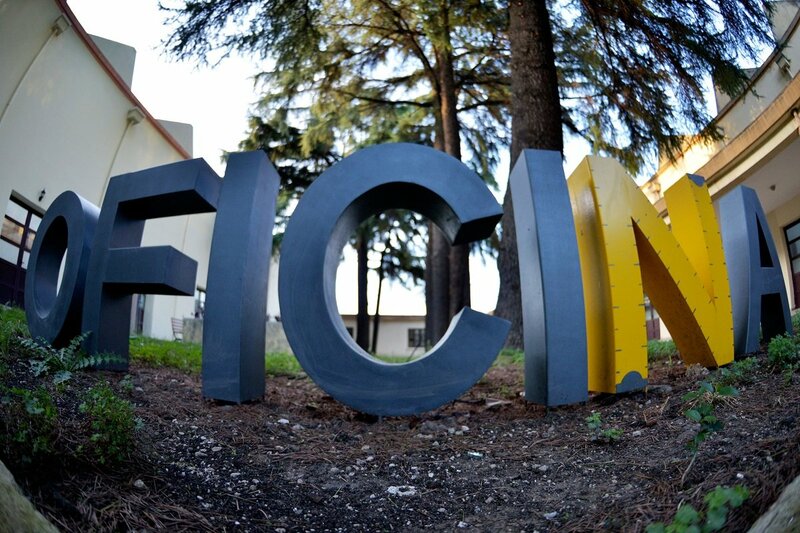 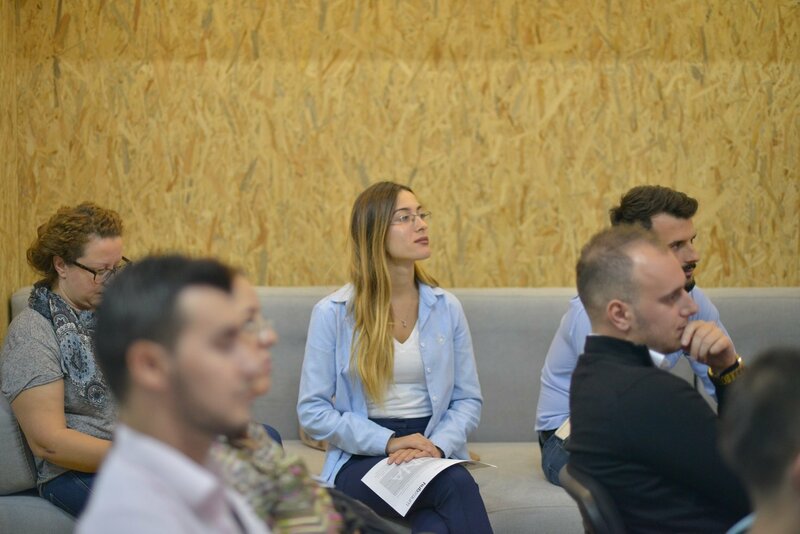 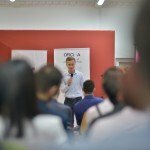 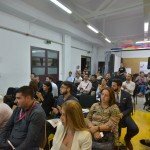 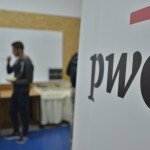 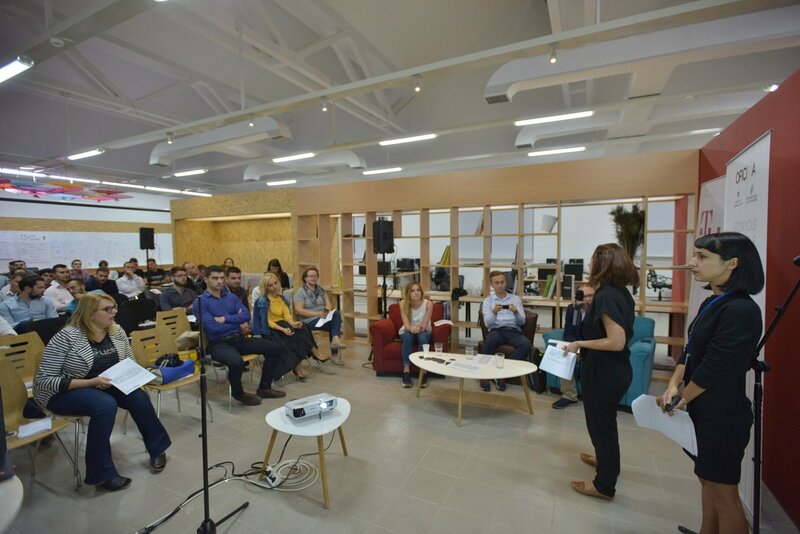 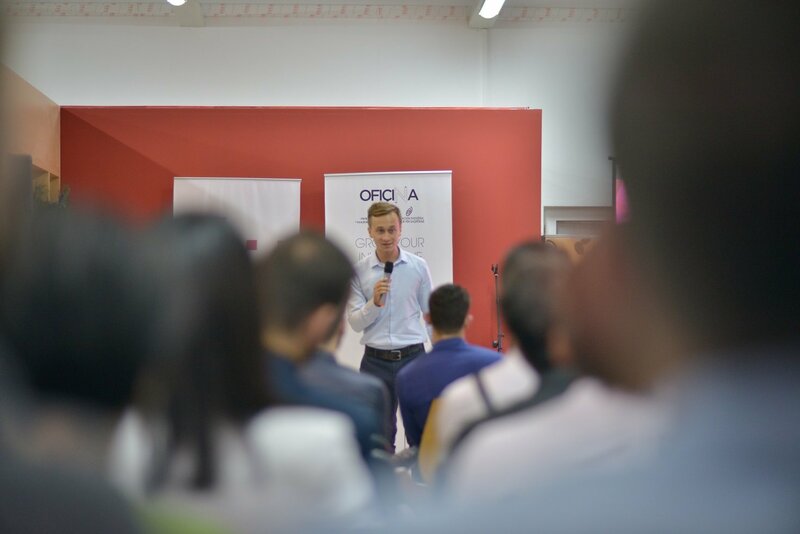 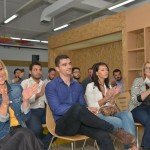 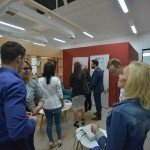 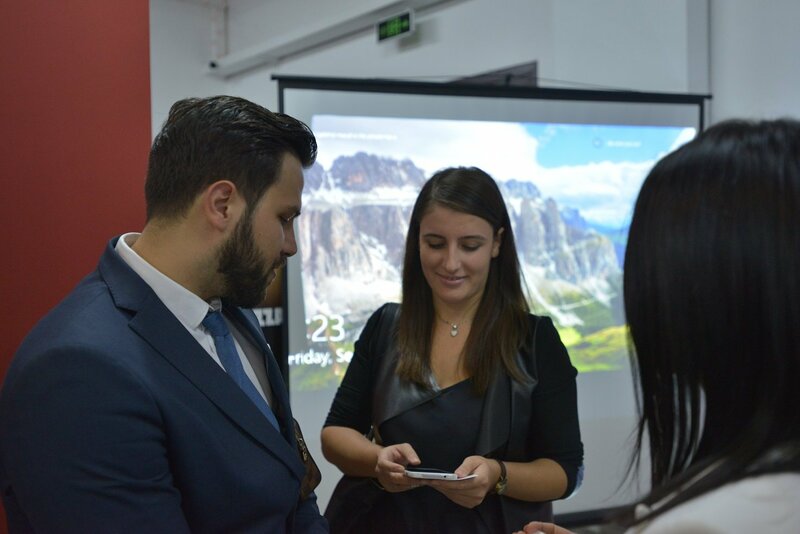 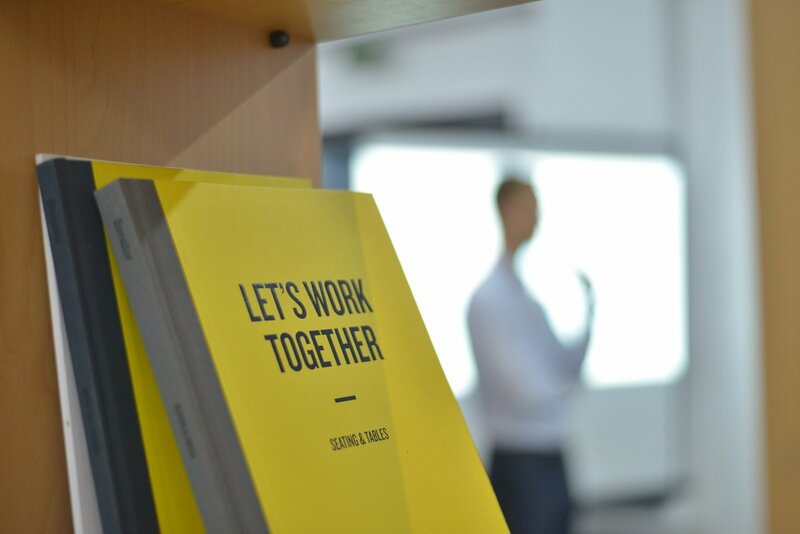 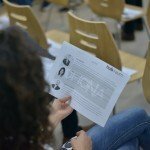 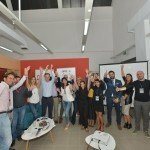 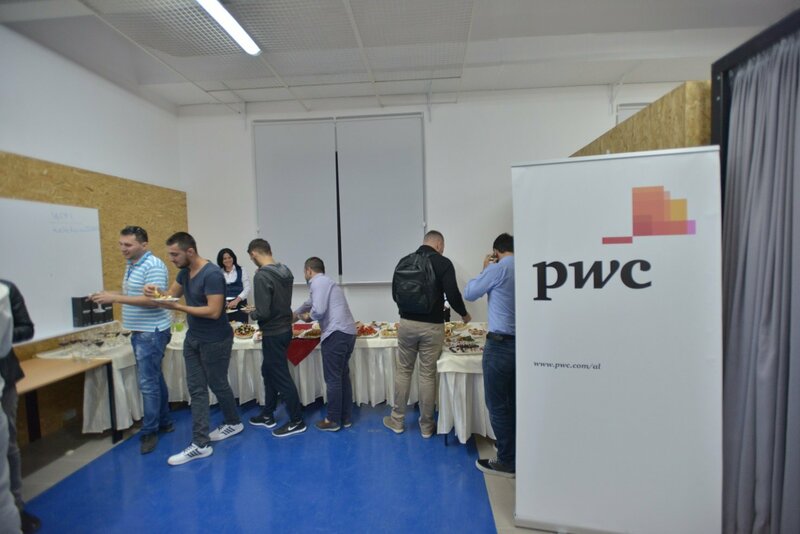 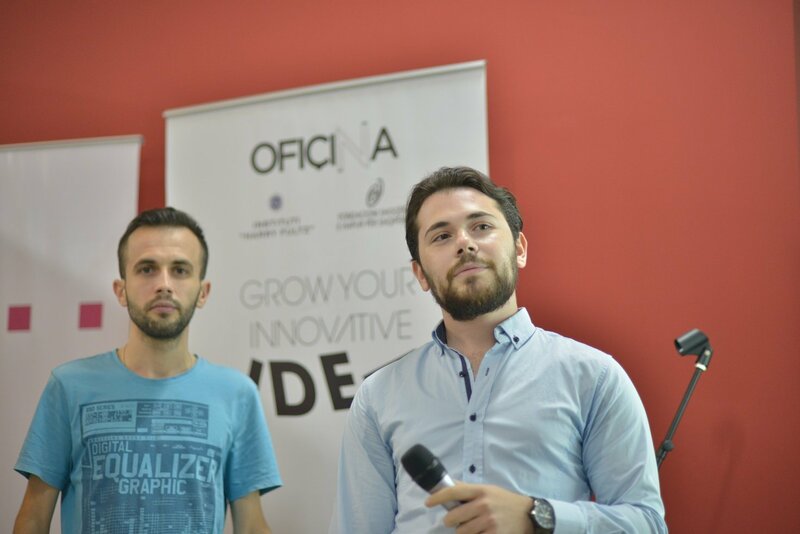 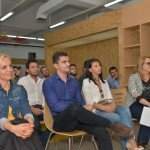 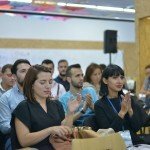 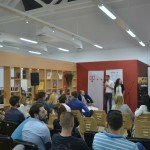 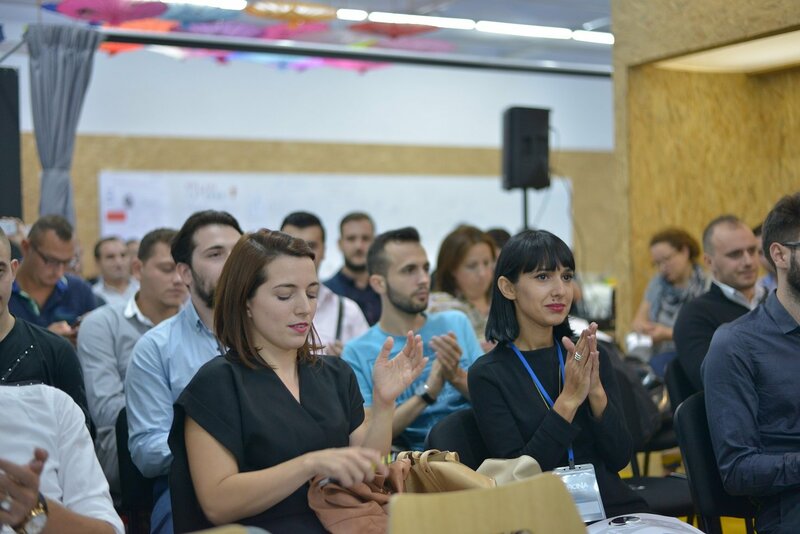 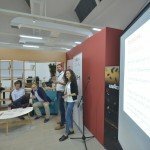 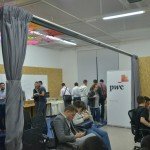 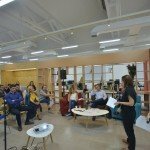 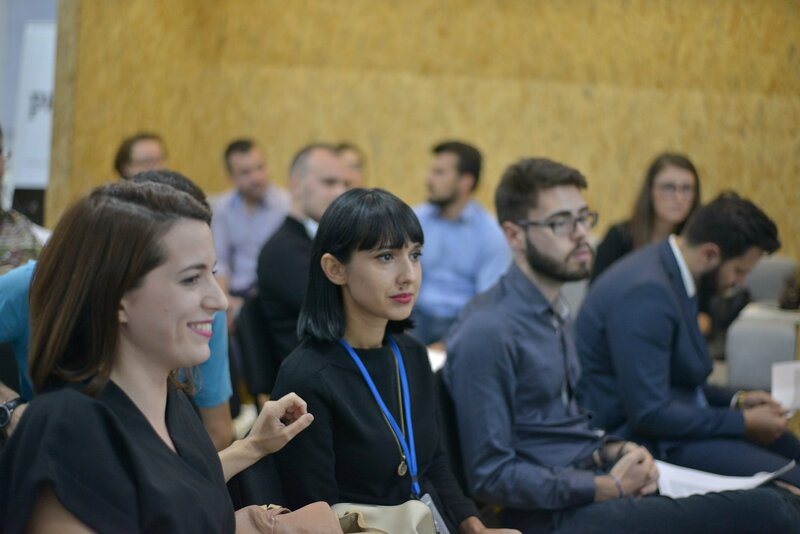 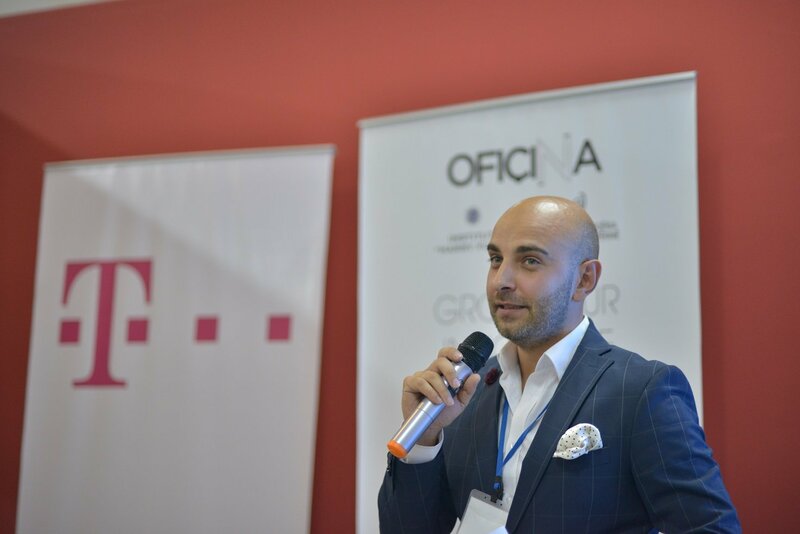 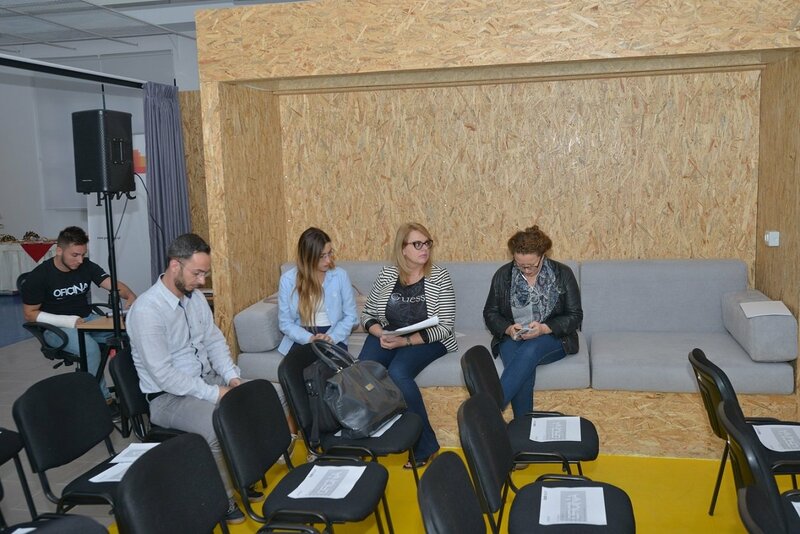 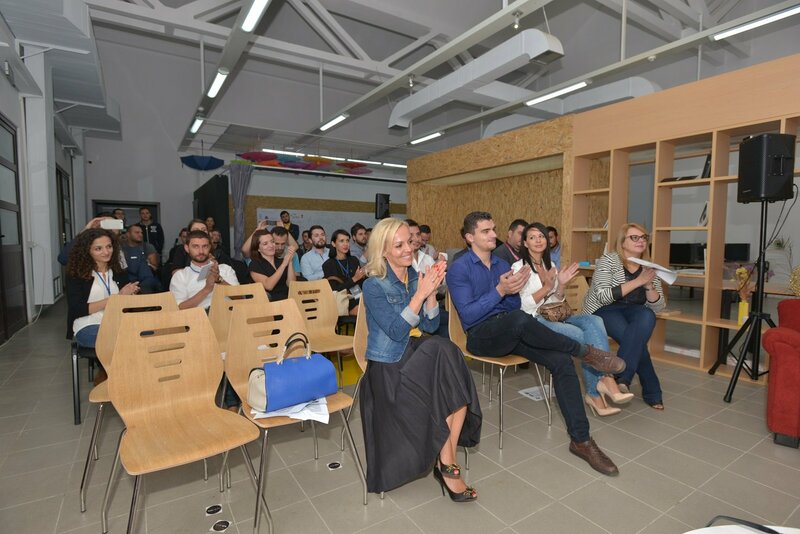 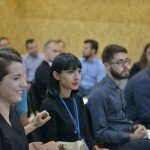 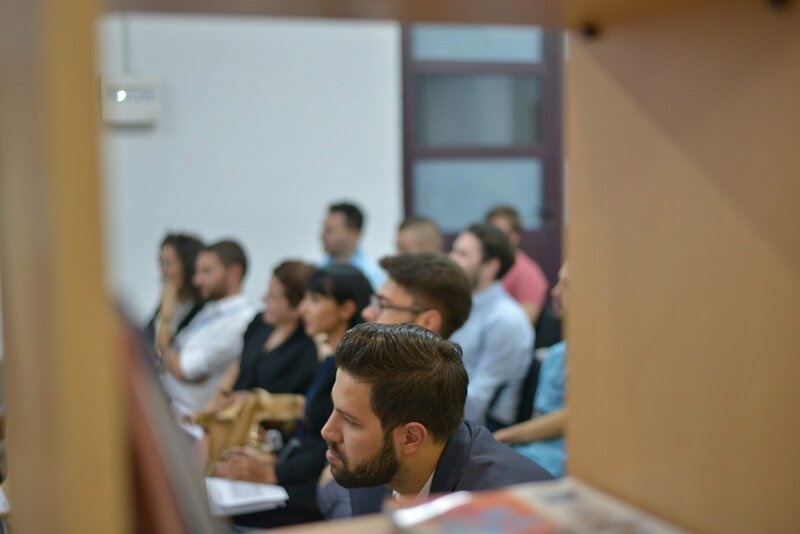 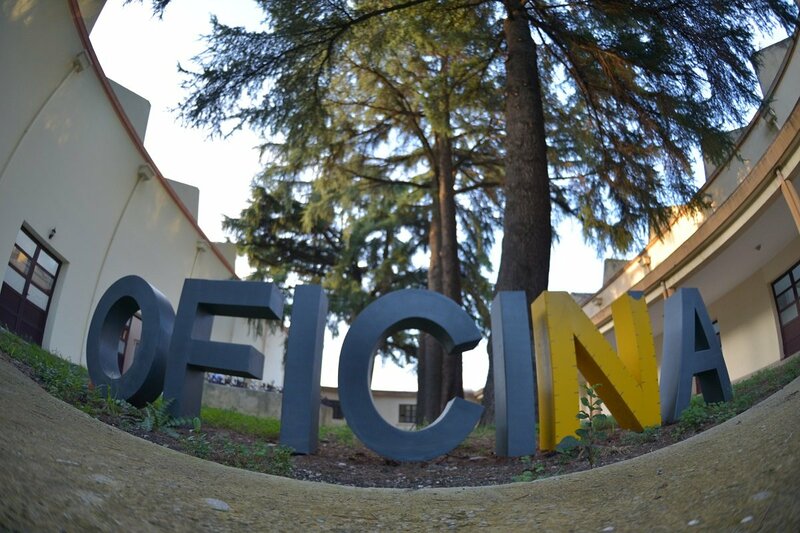 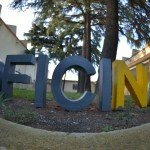 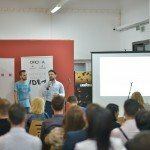 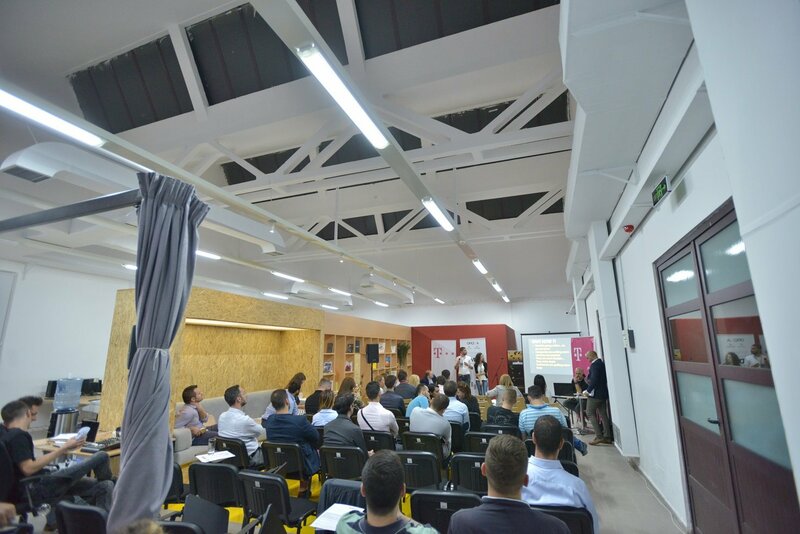 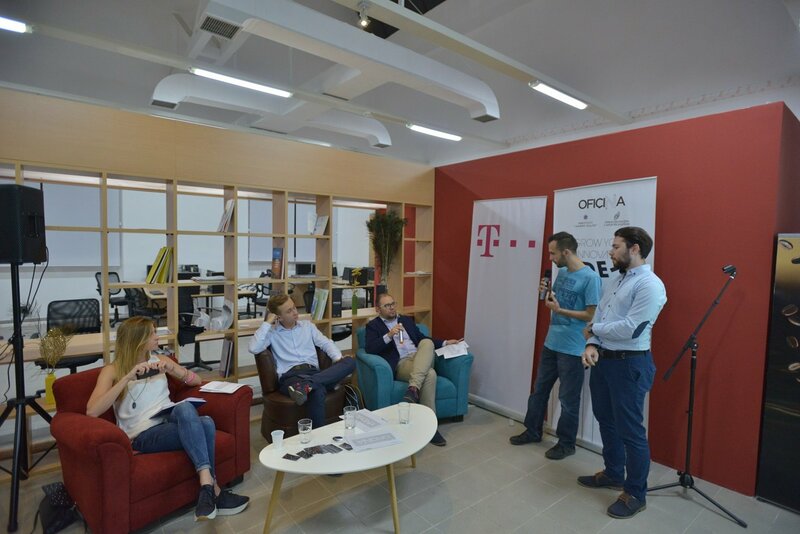 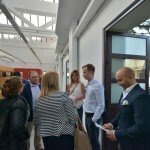 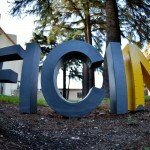 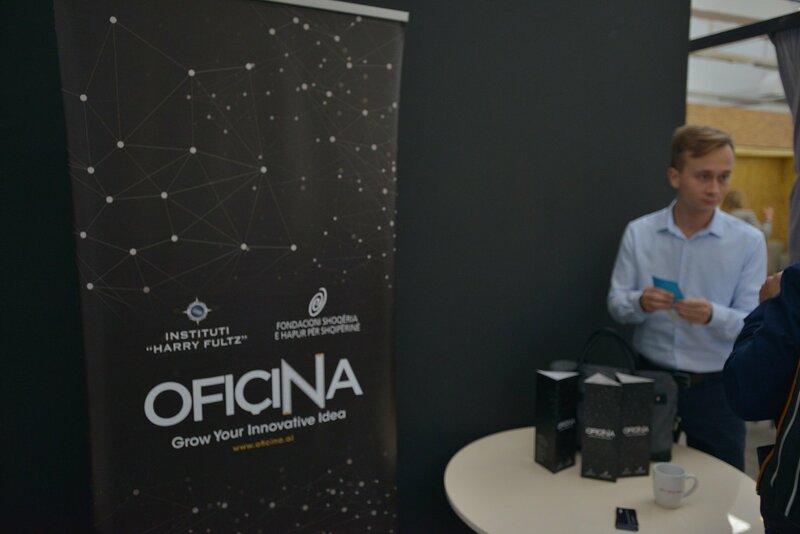 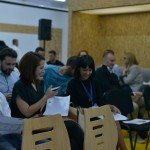 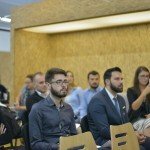 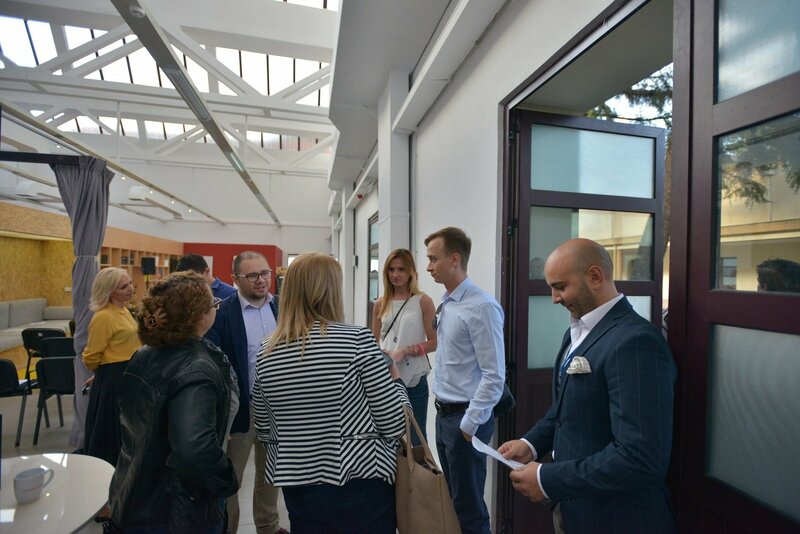 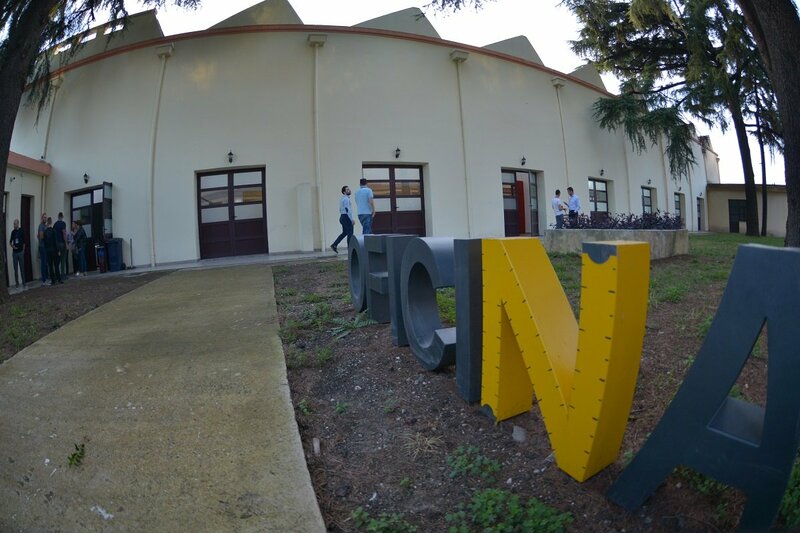 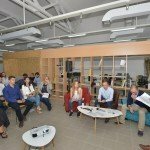 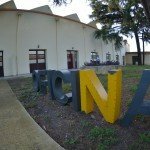 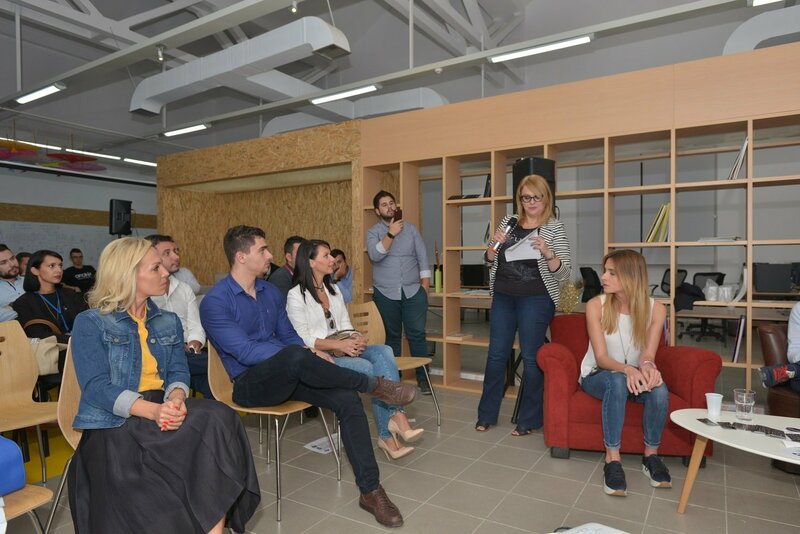 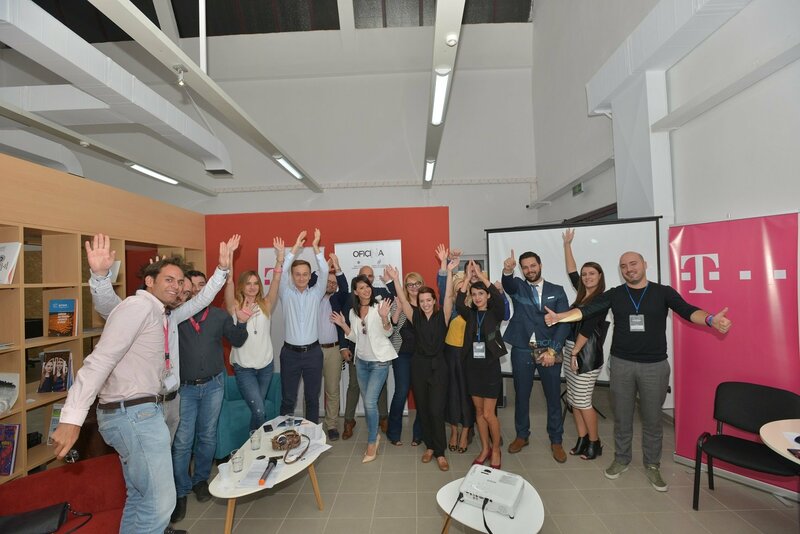 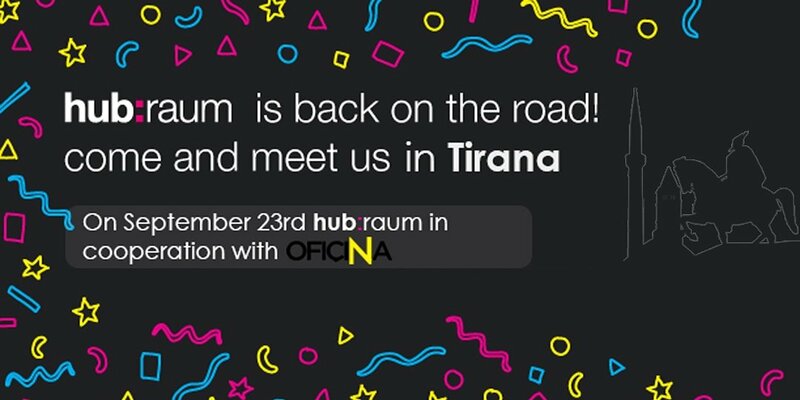 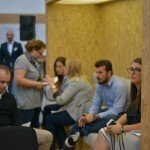 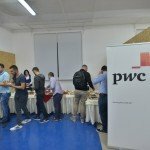 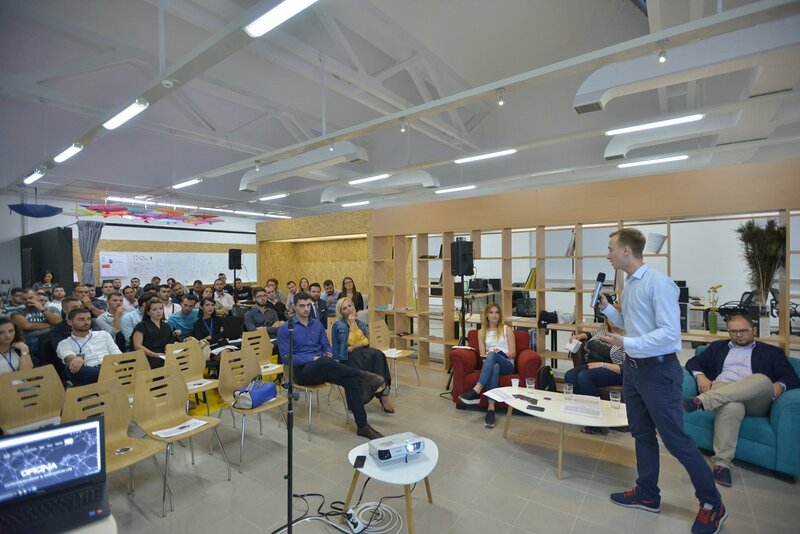 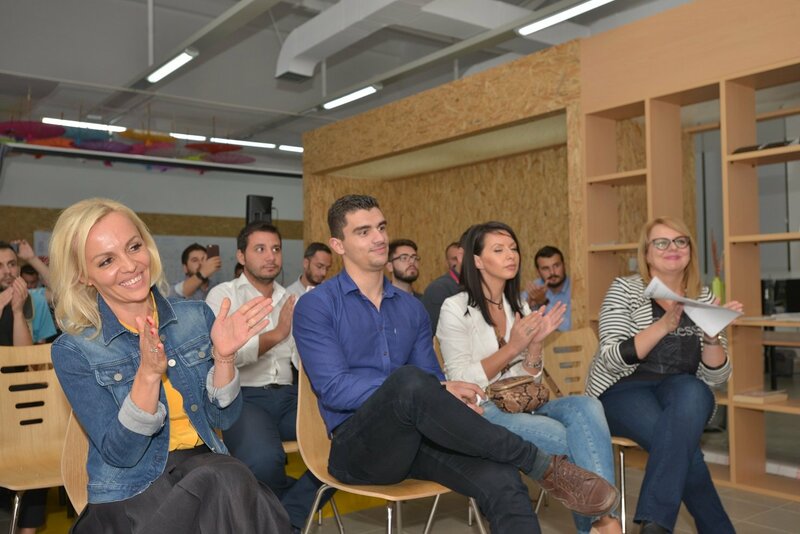 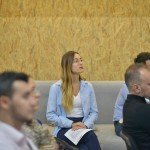 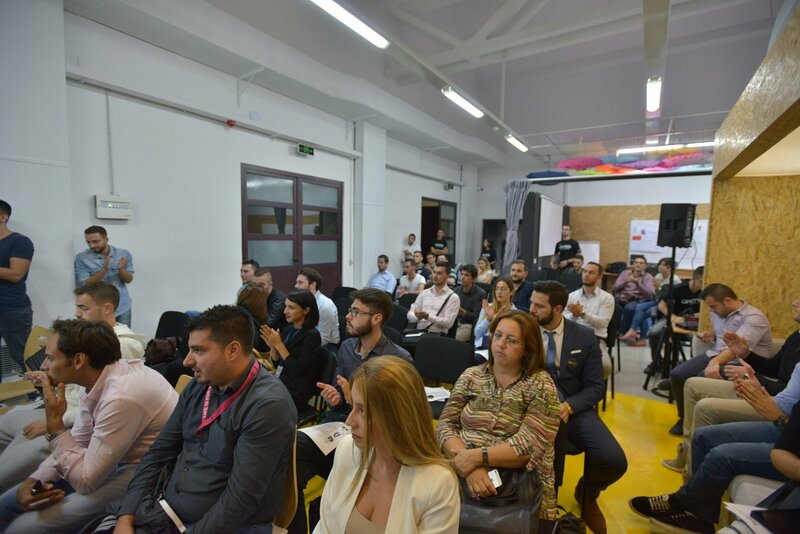 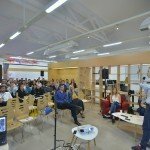 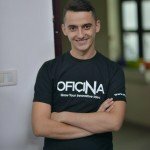 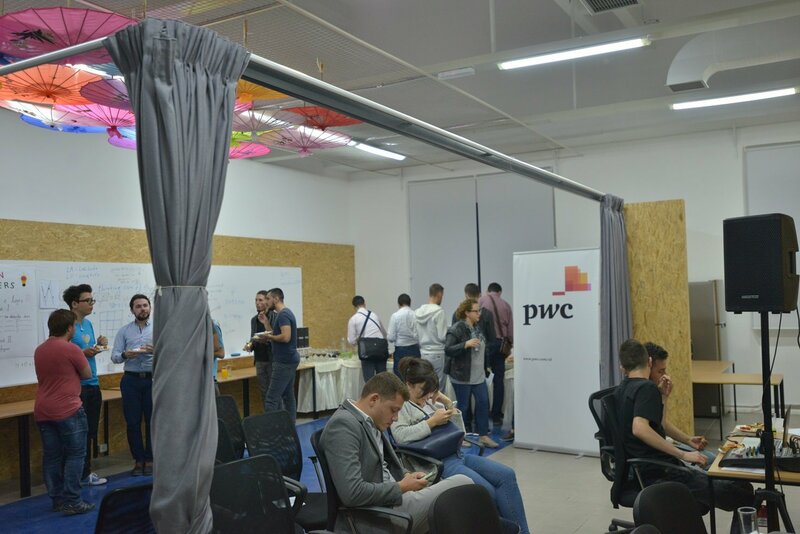 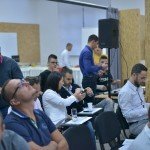 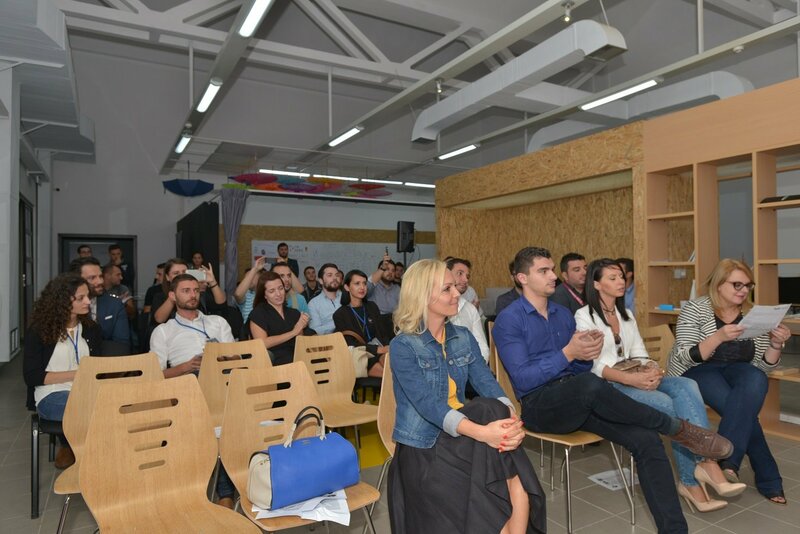 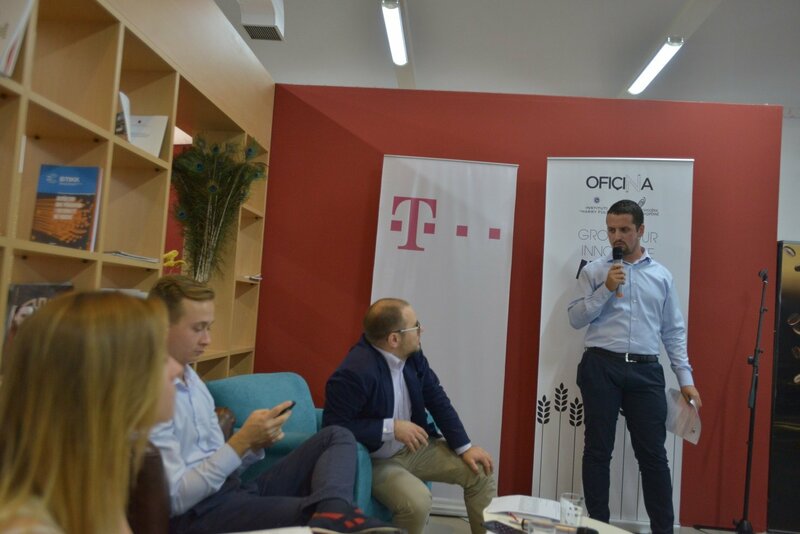 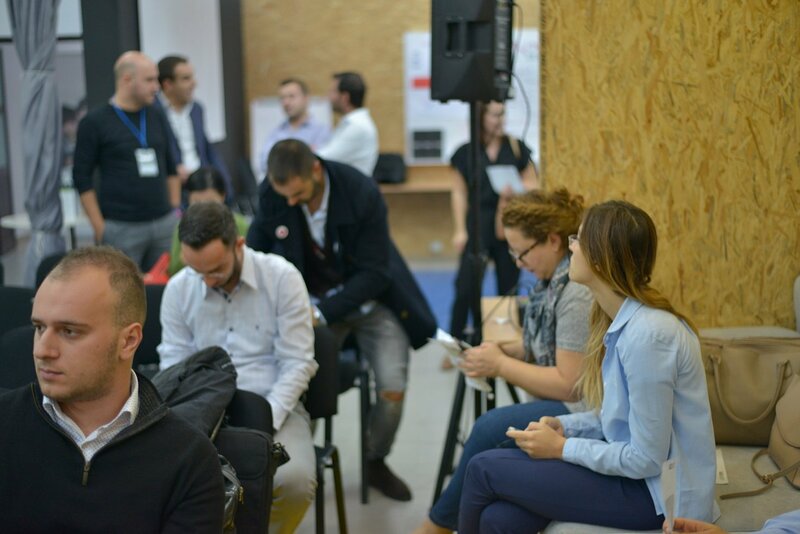 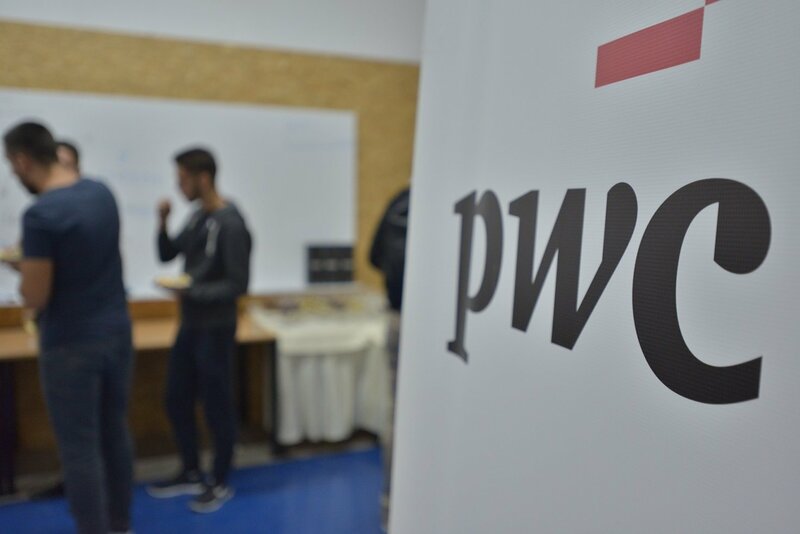 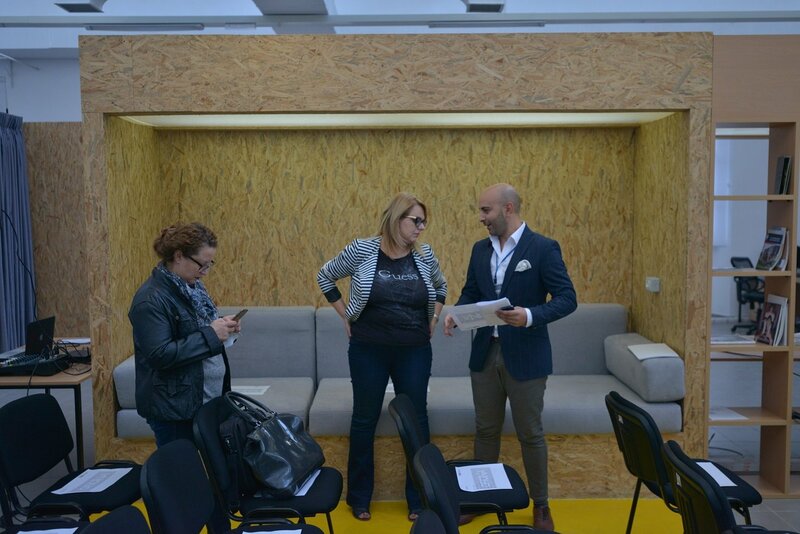 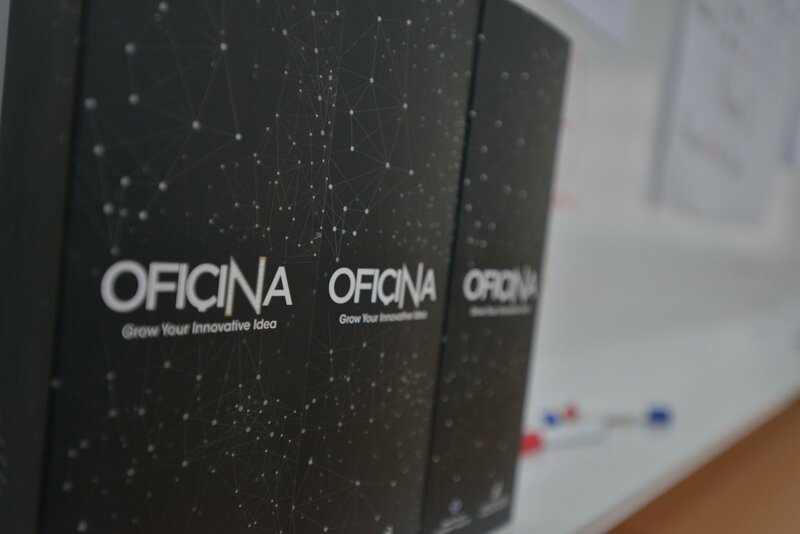 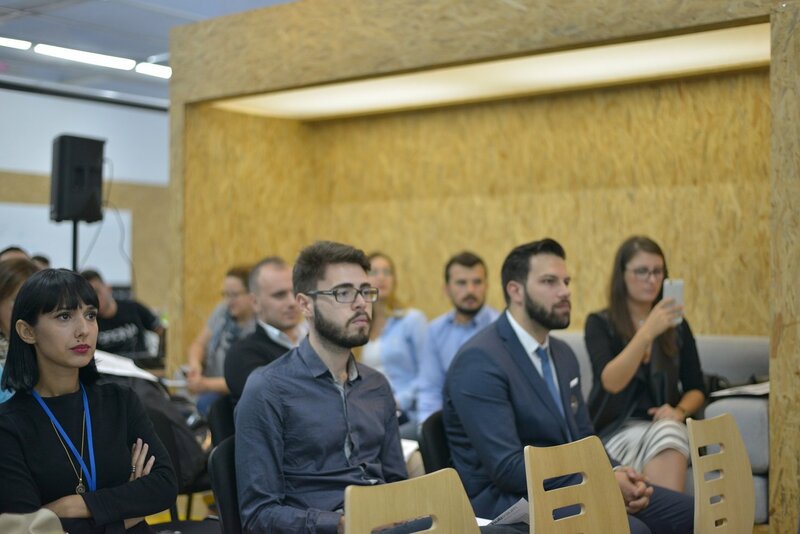 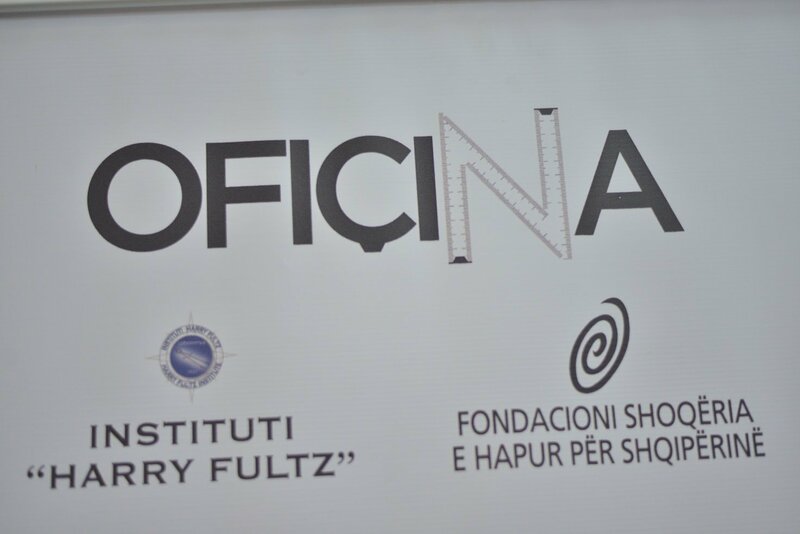 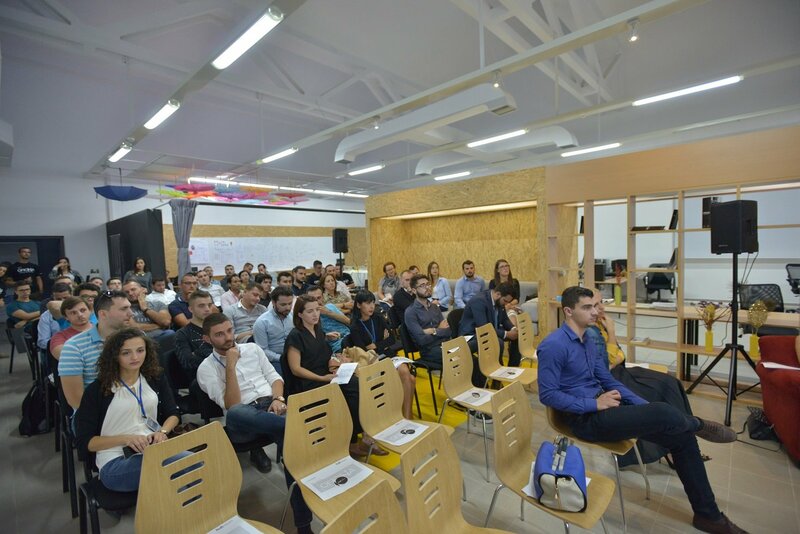 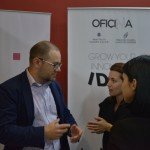 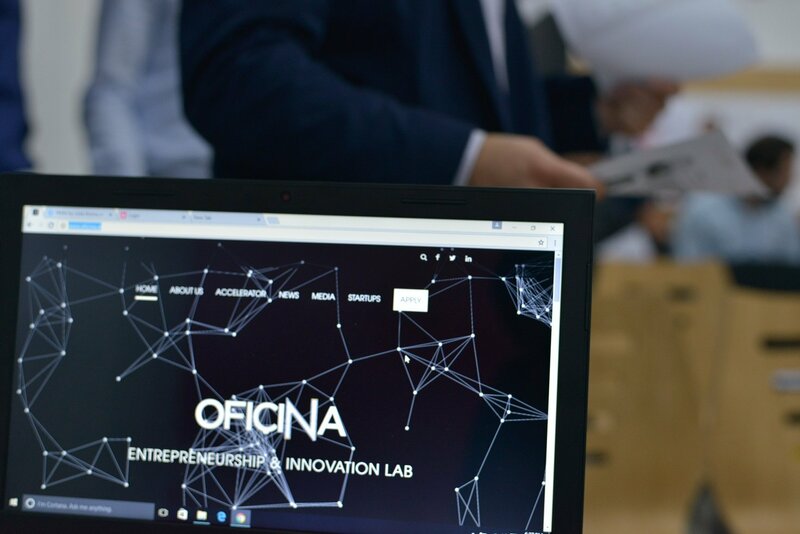 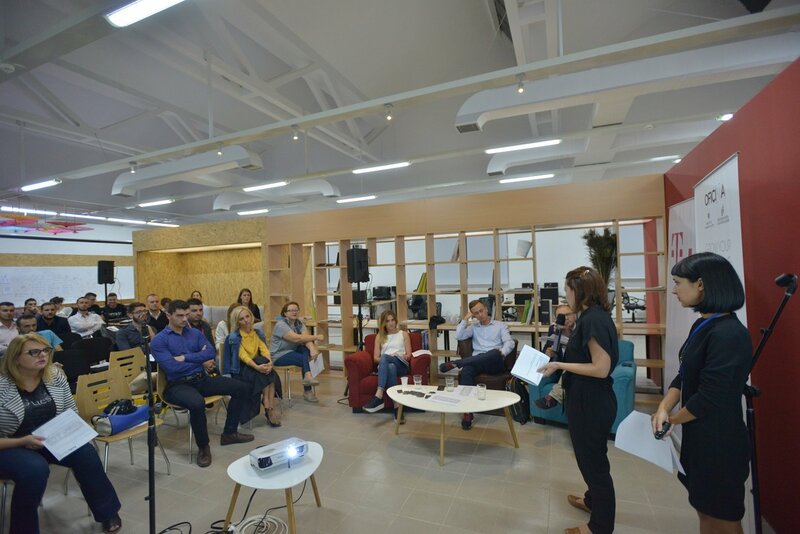 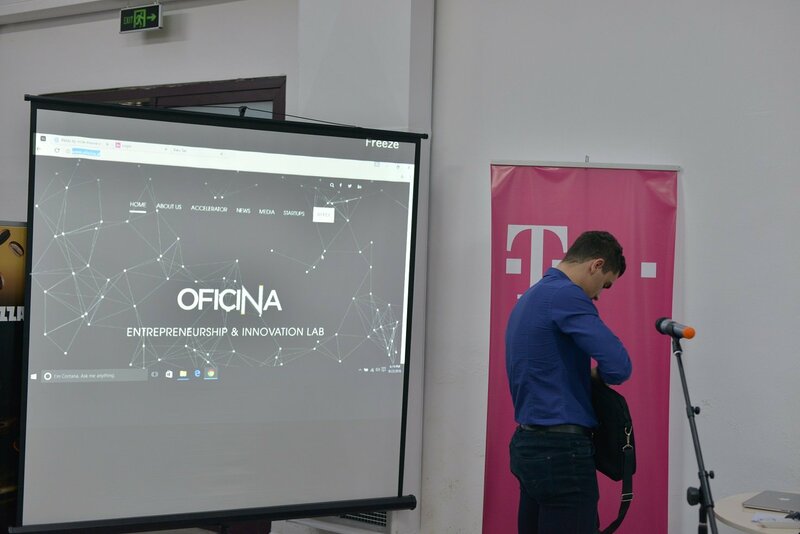 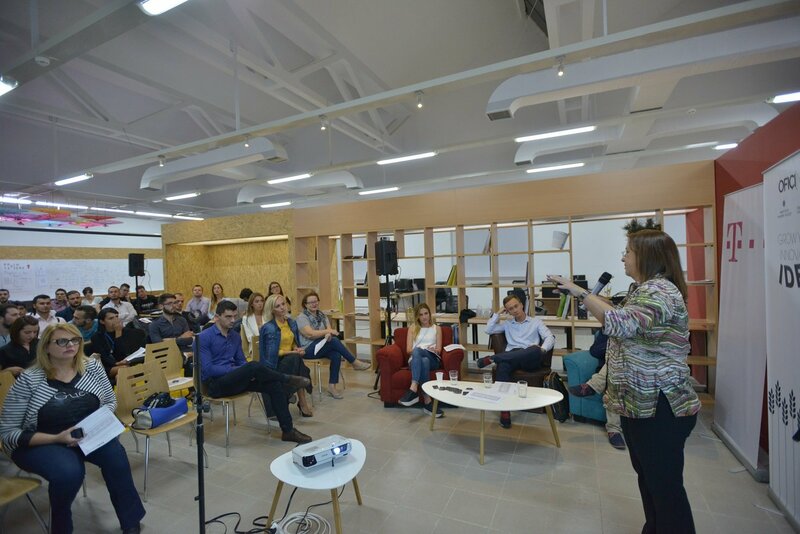 On September 23rd hub:raum in cooperation with Oficina will visit Oficina to hunt for promising young businesses which could participate in a new formula of well-known across Europe program – WARP Sprints and discuss how startups can benefit from the cooperation with Deutsche Telecom. 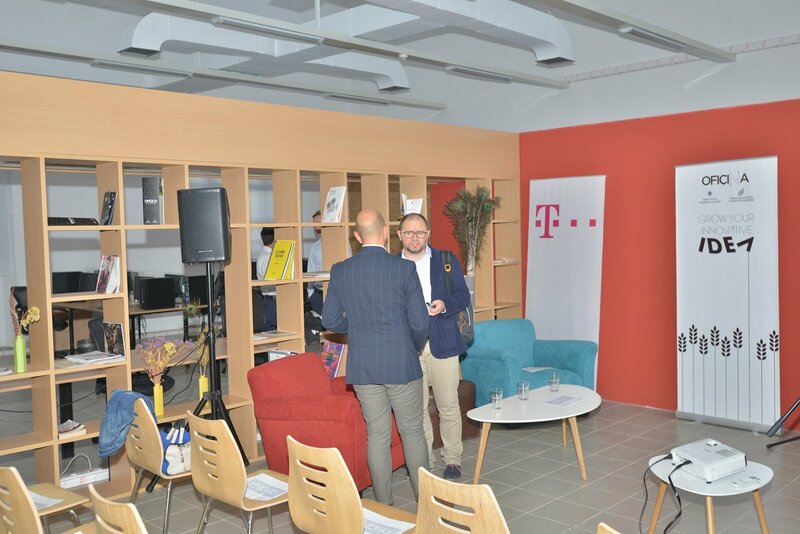 We invite you to our joint event – come, meet hub:raum and see what they can do for your startup from Smart City, Logistics & Transportation and Omnichannel areas (but you should also join us if you are from wide IoT, big data, cloud, mobile security, e-health areas). 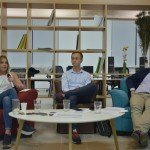 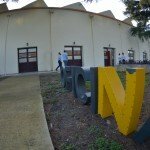 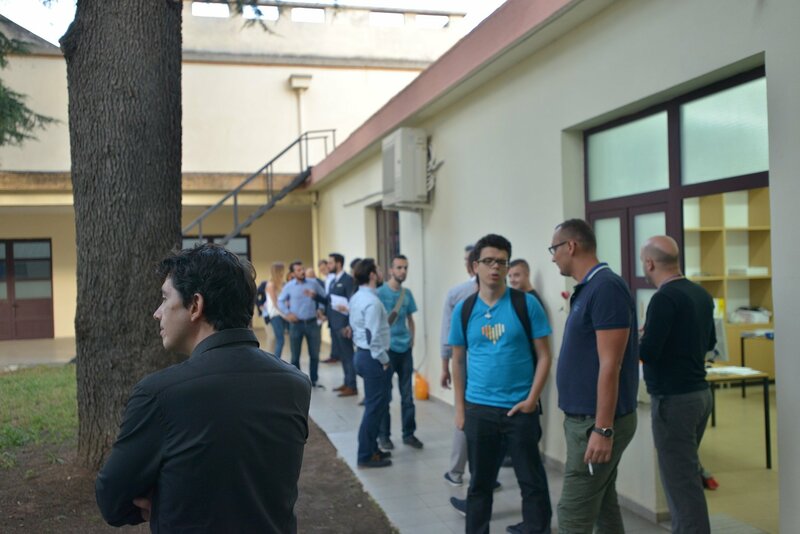 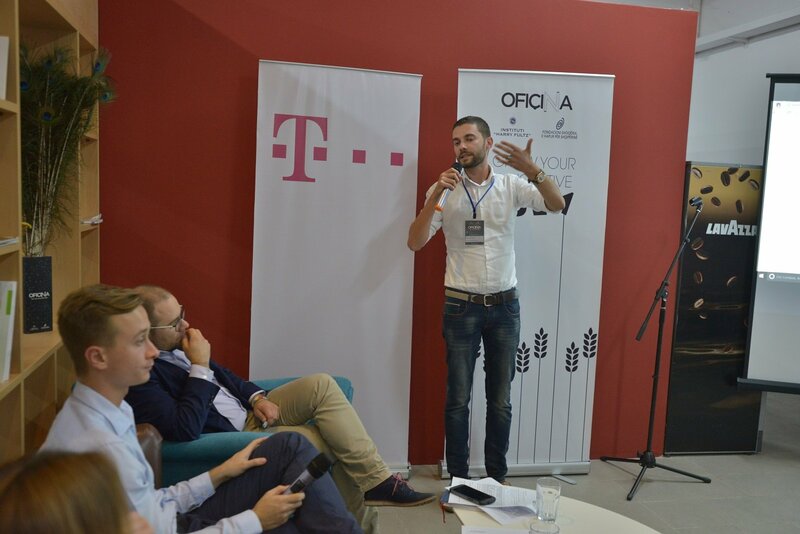 18:50 Panel discussion – Telco vs Startups: a perfect fit or a bad clash? 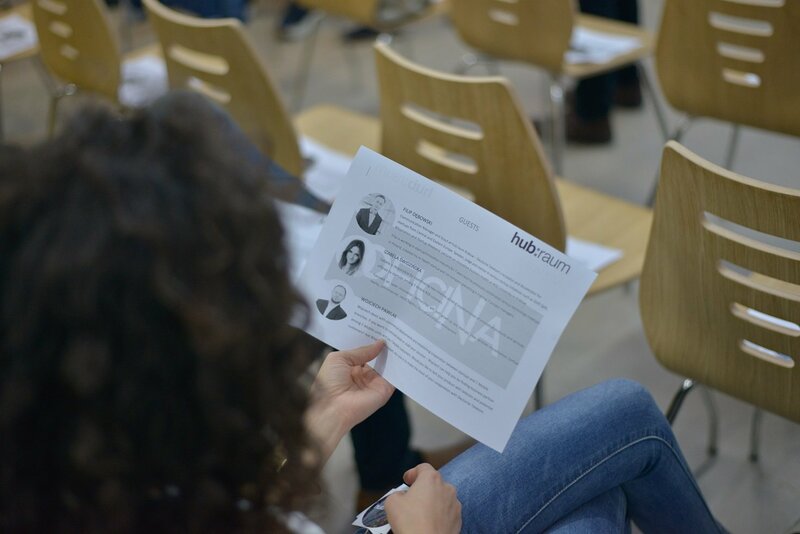 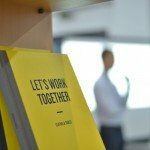 Sign up, come and say hello to hub:raum – pitch your ideas and they can help you to be the next big thing! 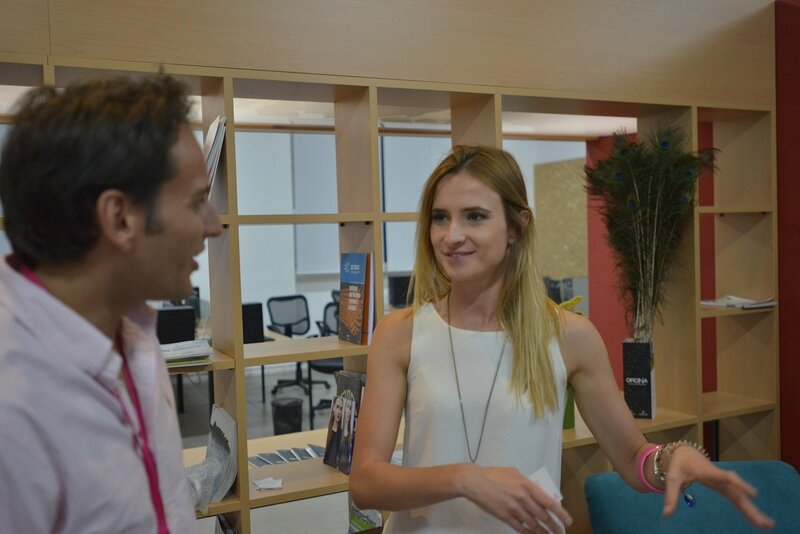 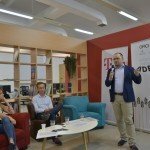 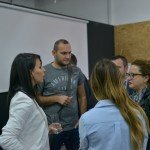 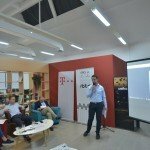 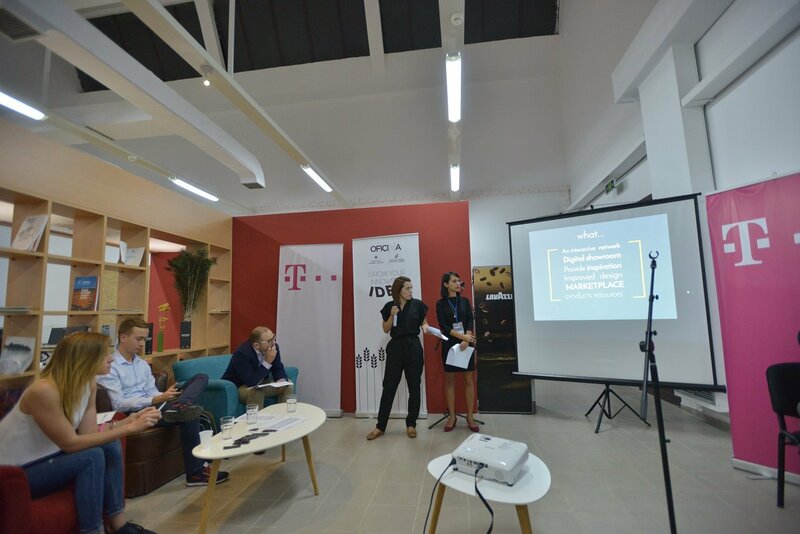 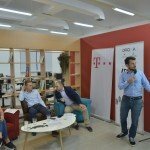 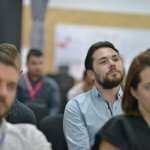 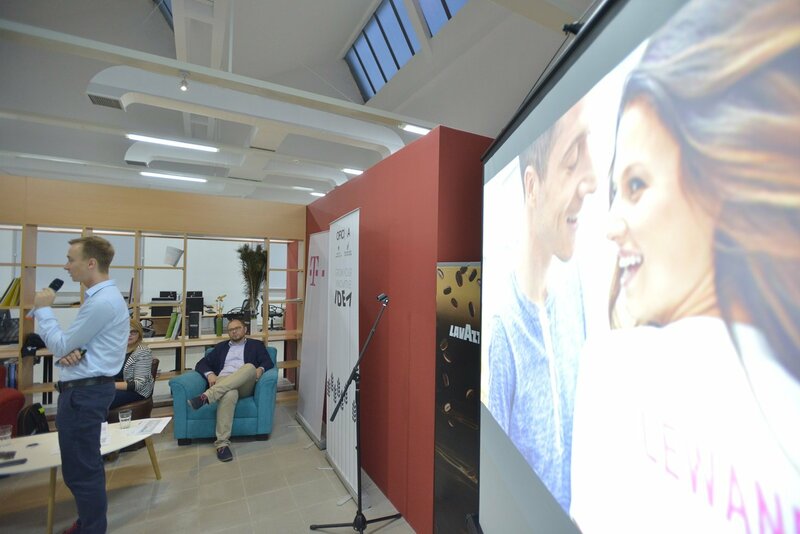 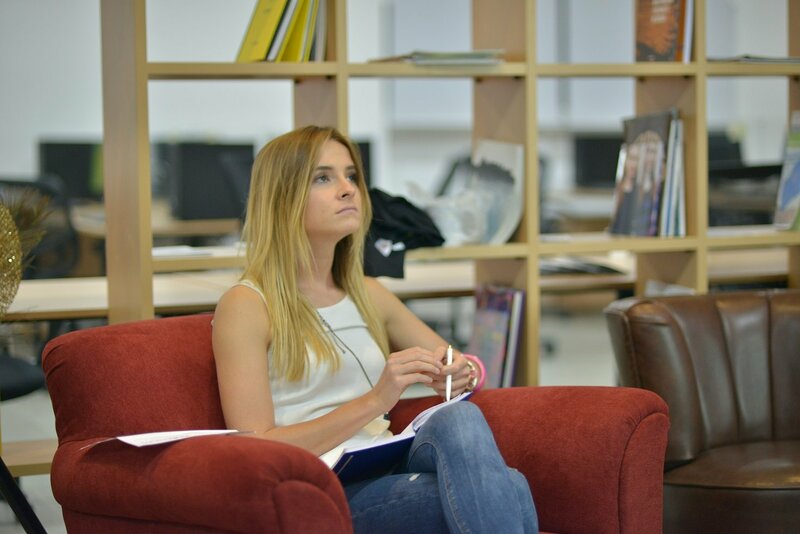 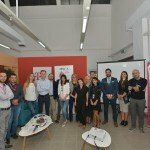 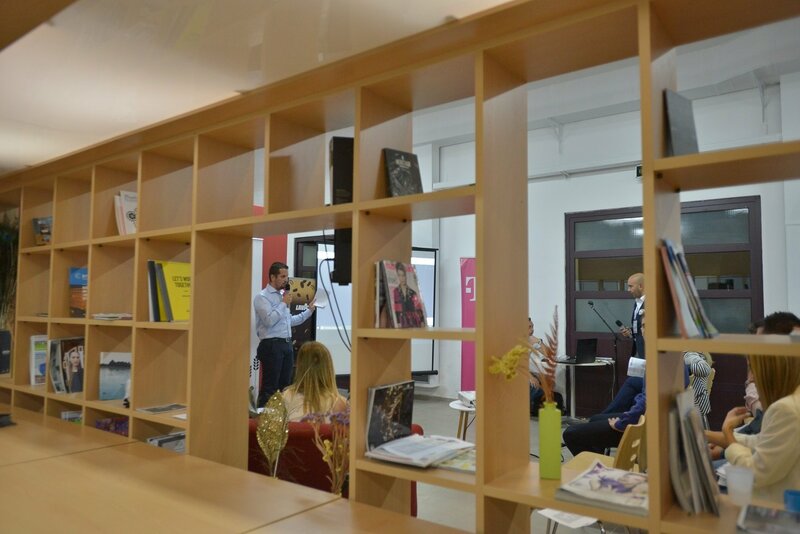 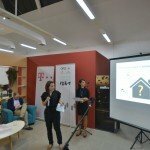 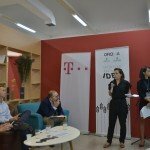 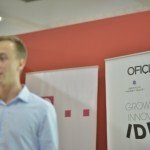 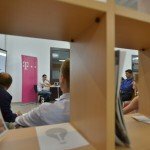 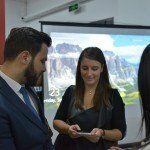 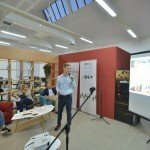 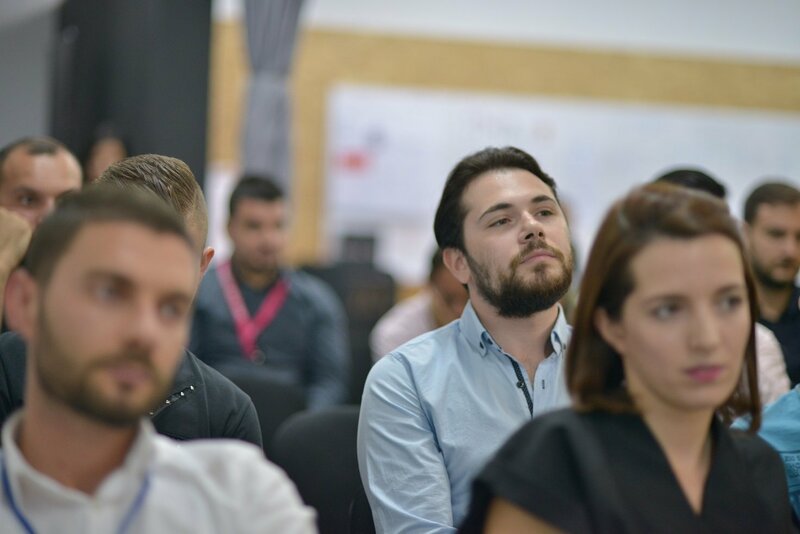 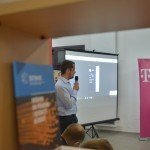 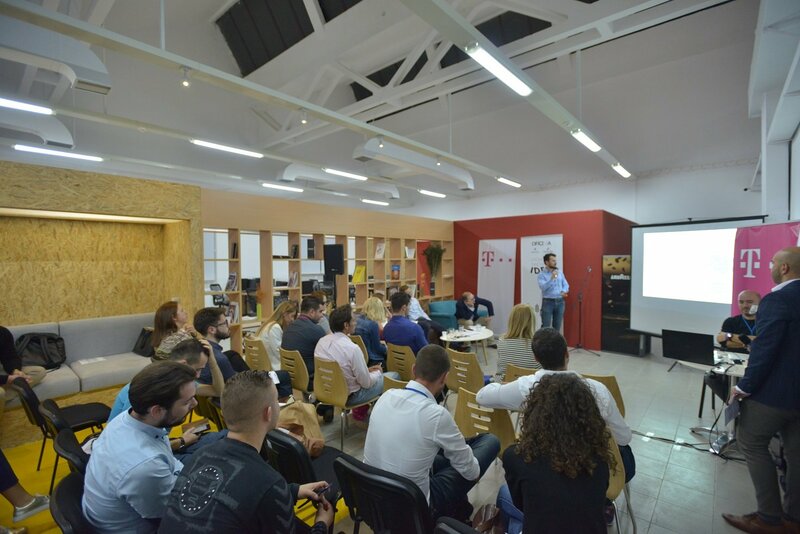 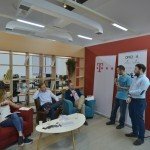 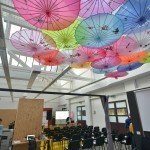 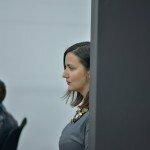 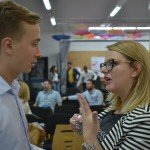 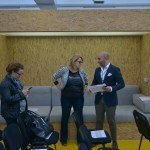 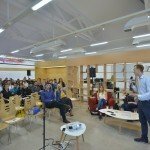 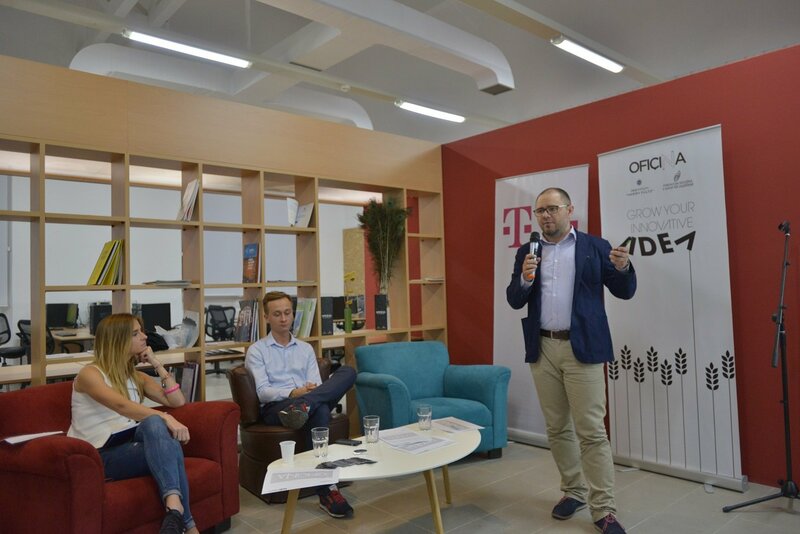 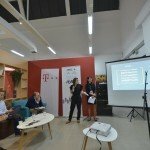 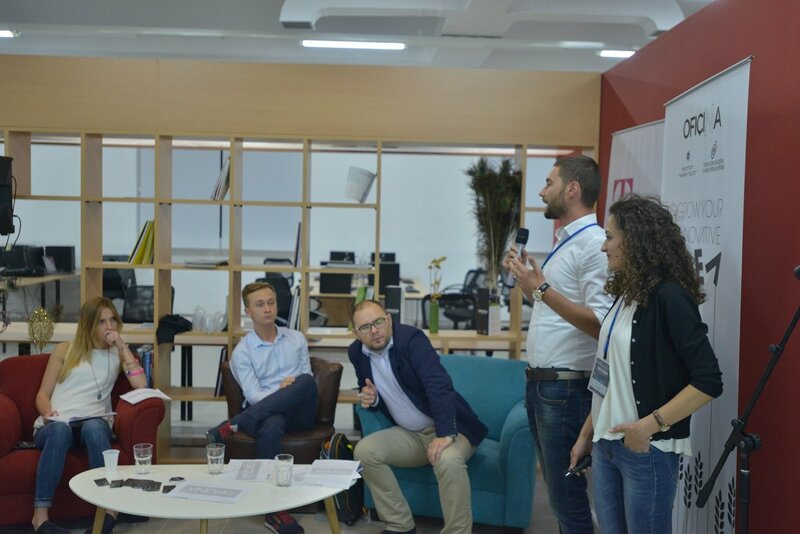 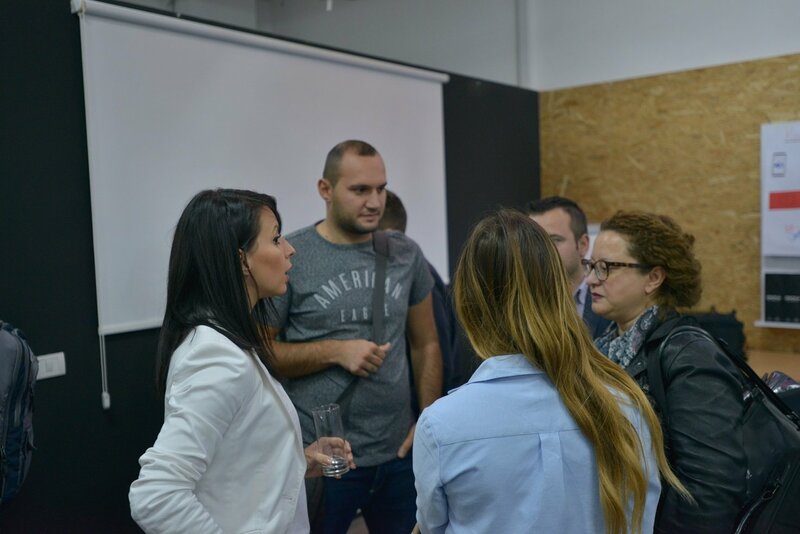 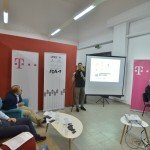 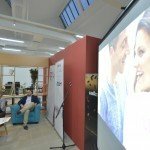 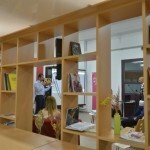 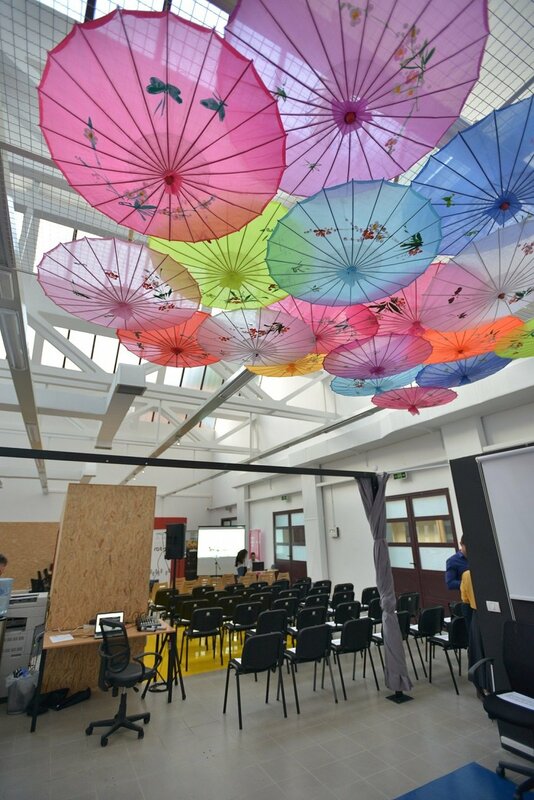 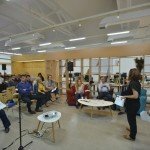 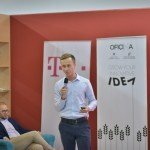 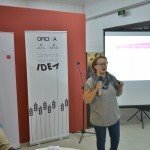 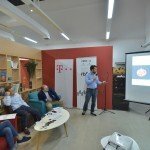 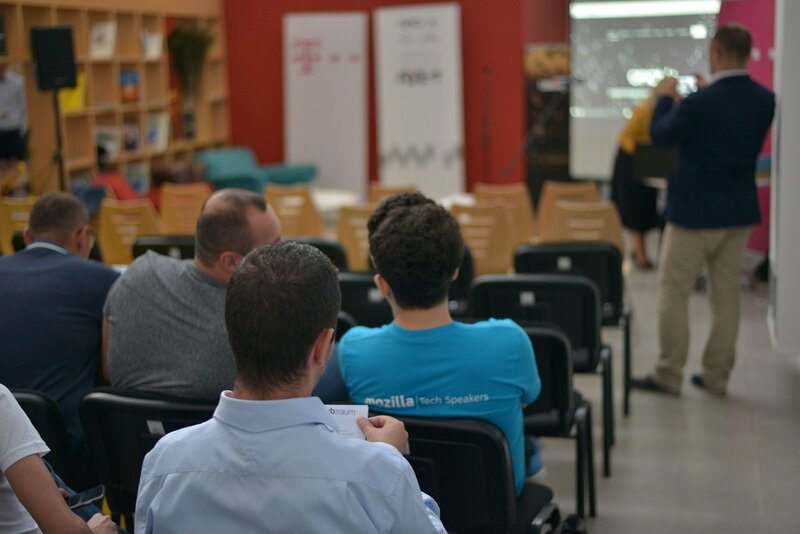 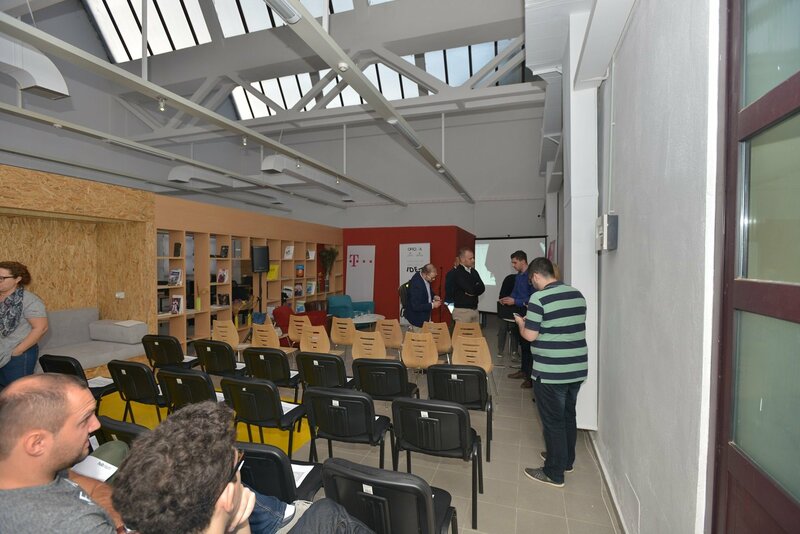 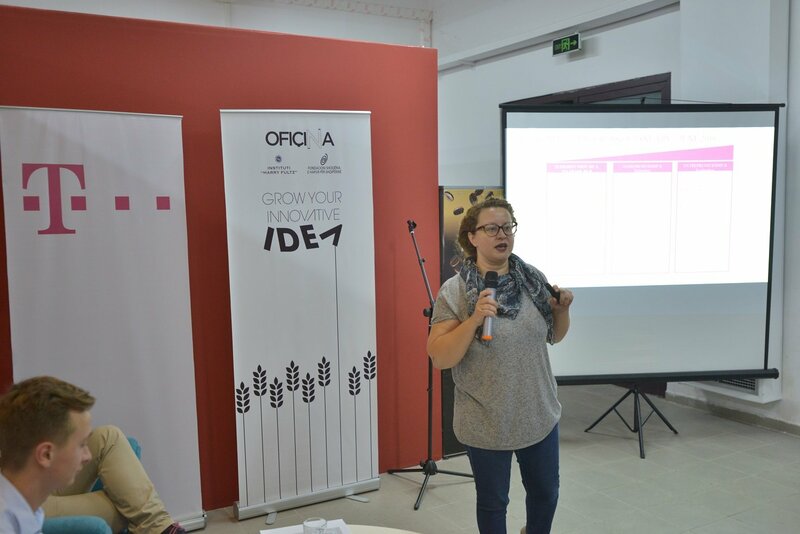 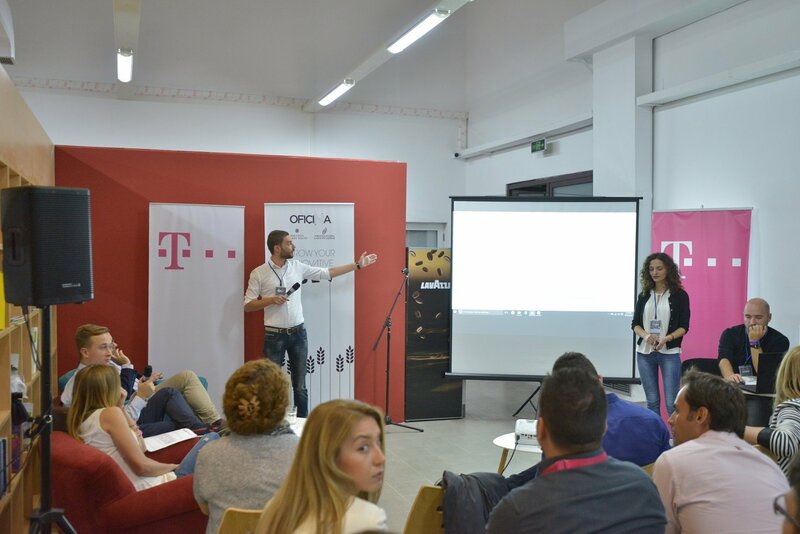 Communication Manager and Scout at hub:raum Krakow – Deutsche Telekom’s Incubator and Accelerator for startups from Central and Eastern Europe. 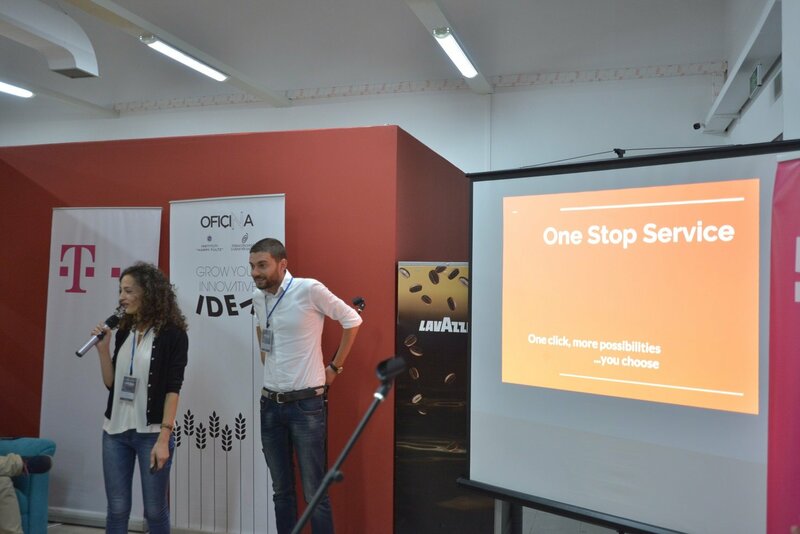 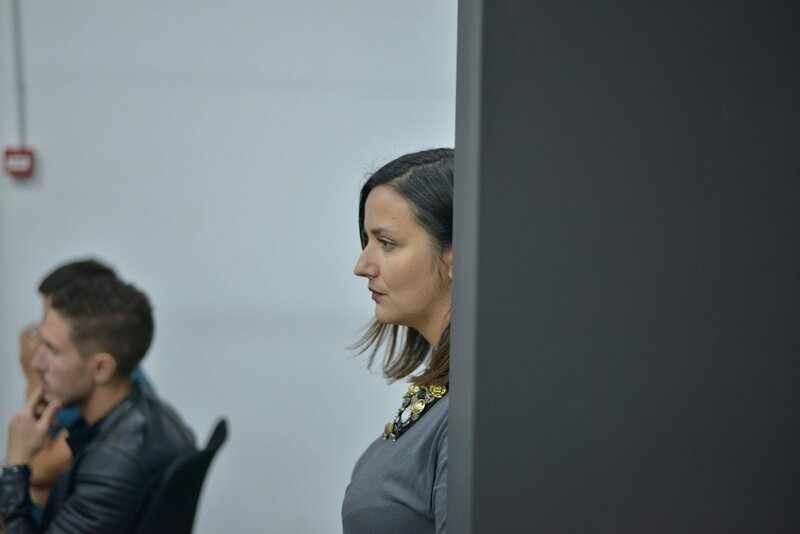 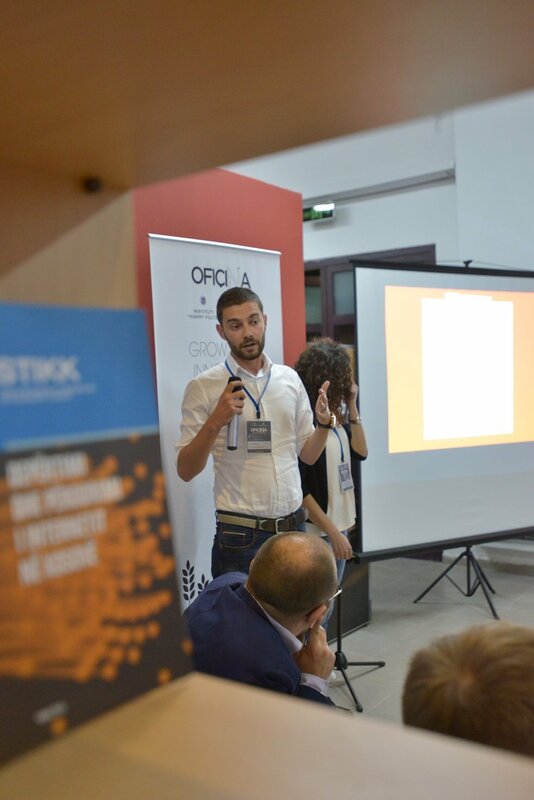 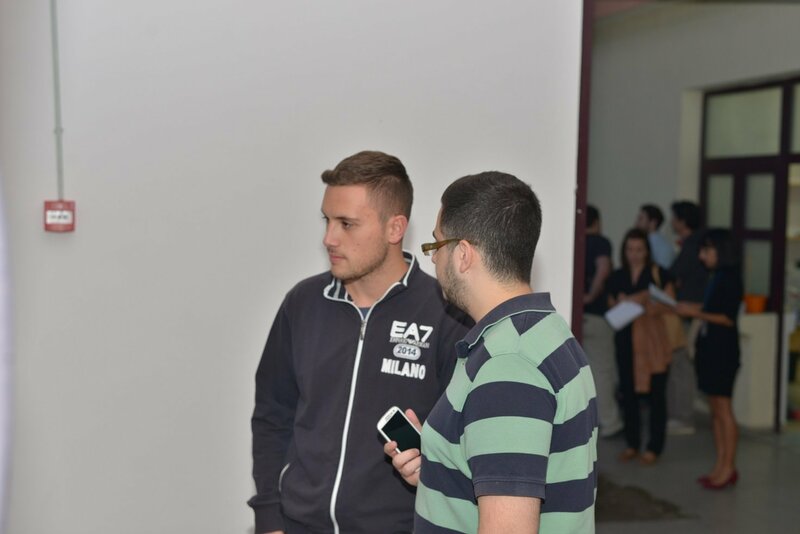 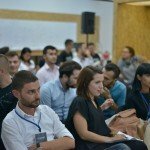 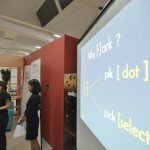 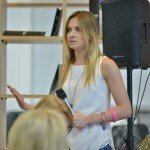 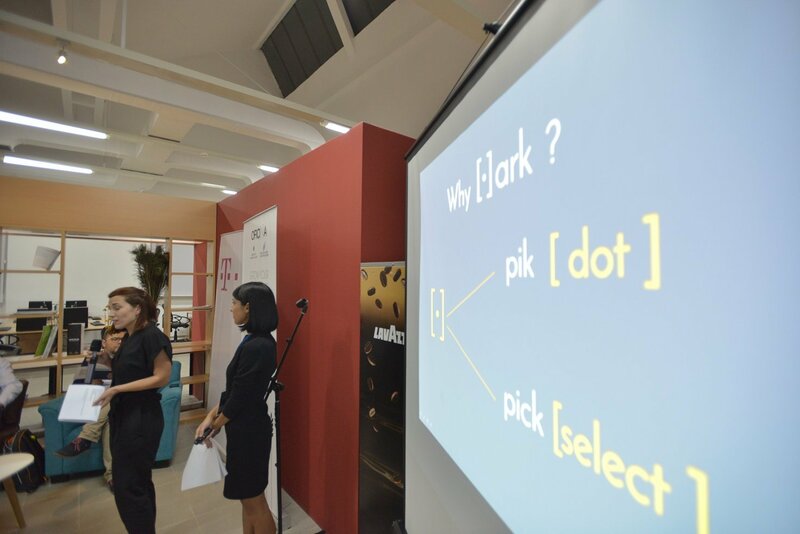 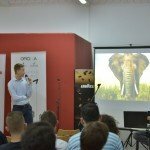 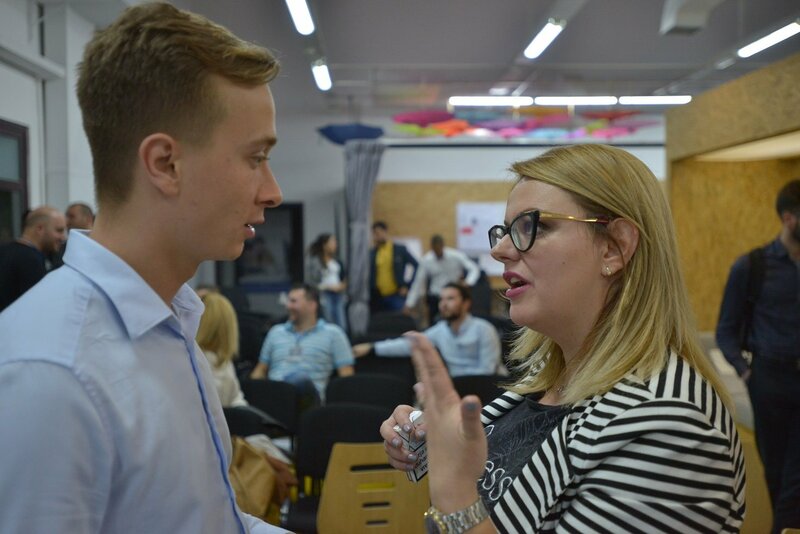 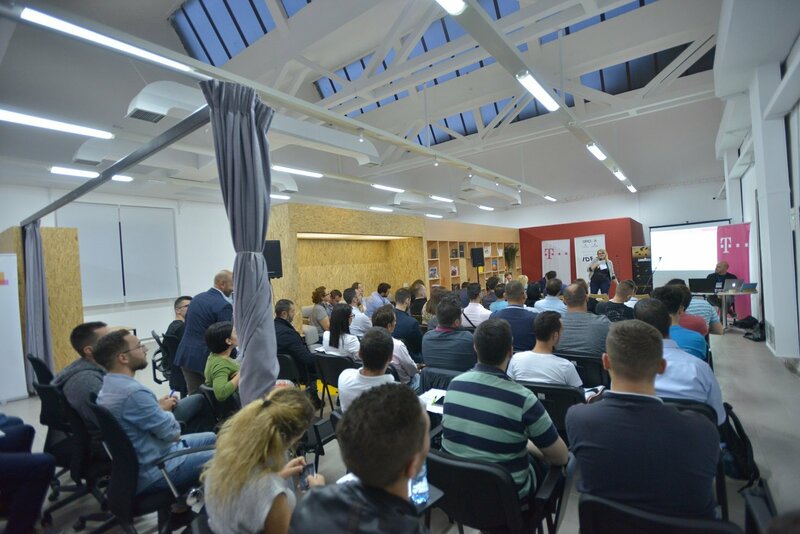 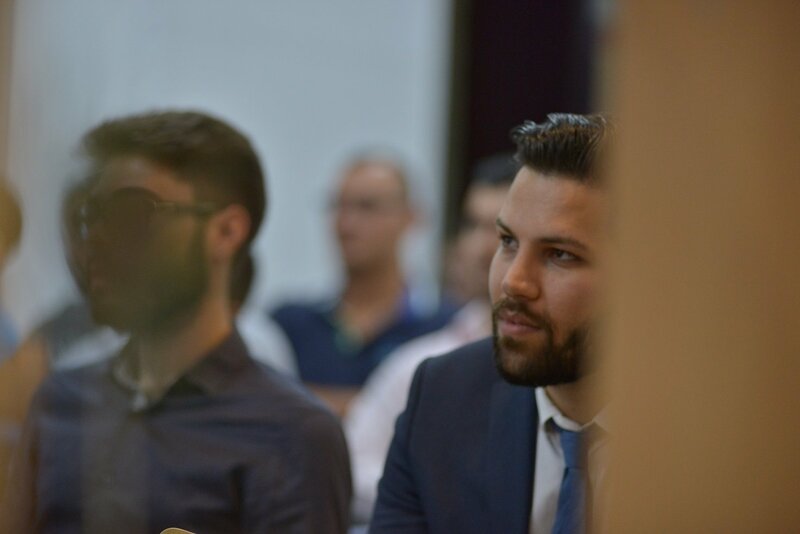 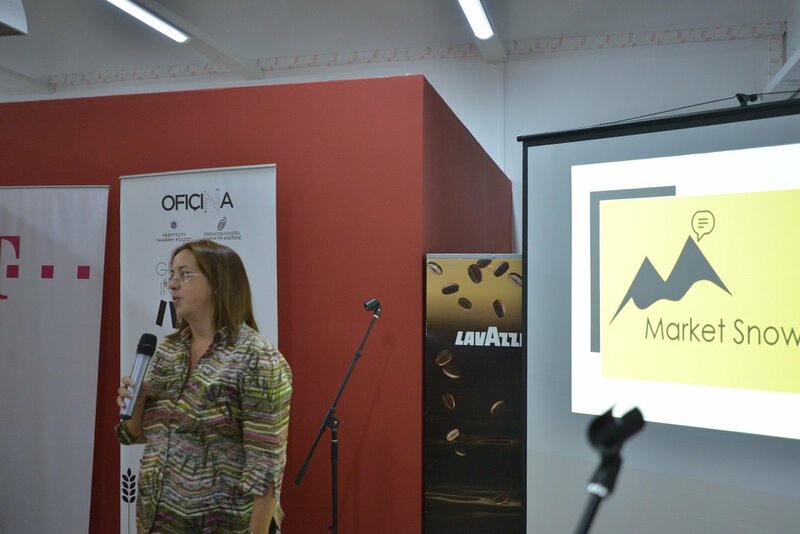 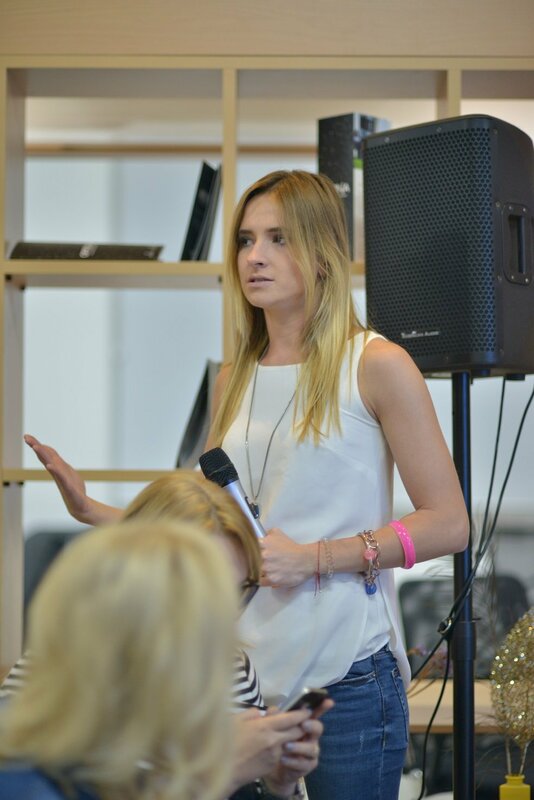 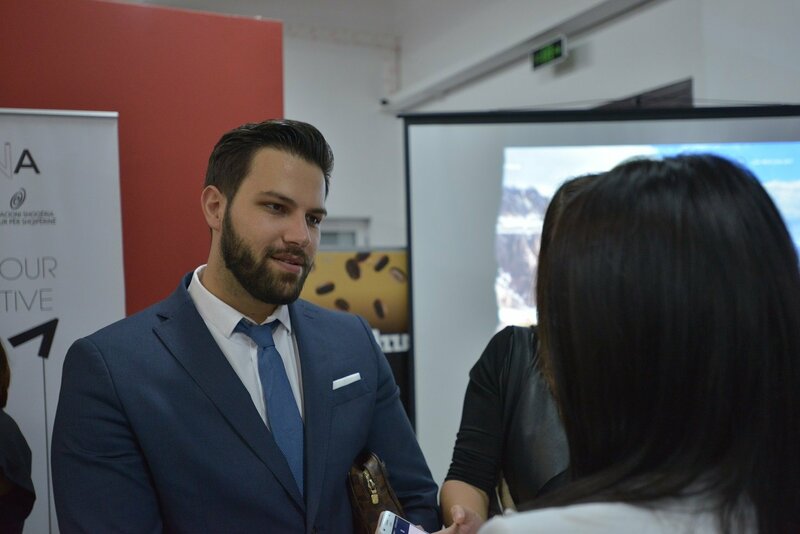 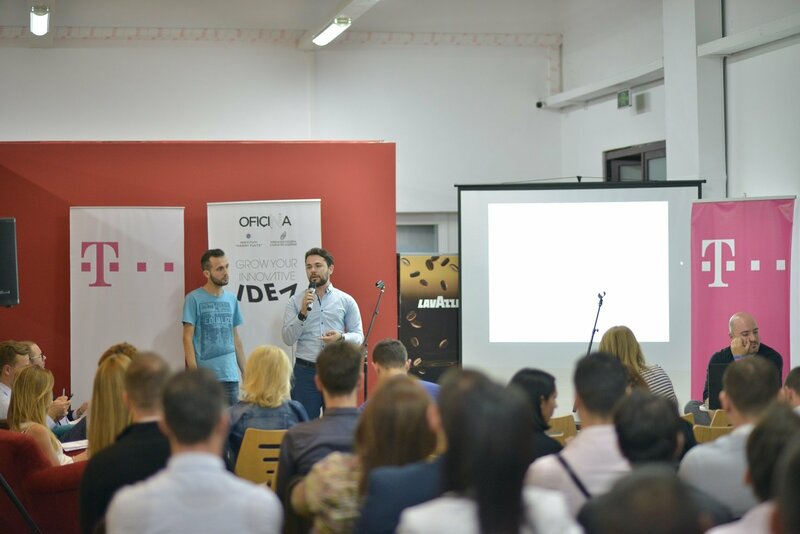 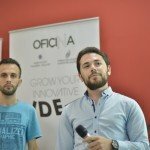 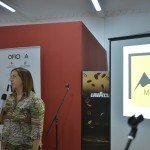 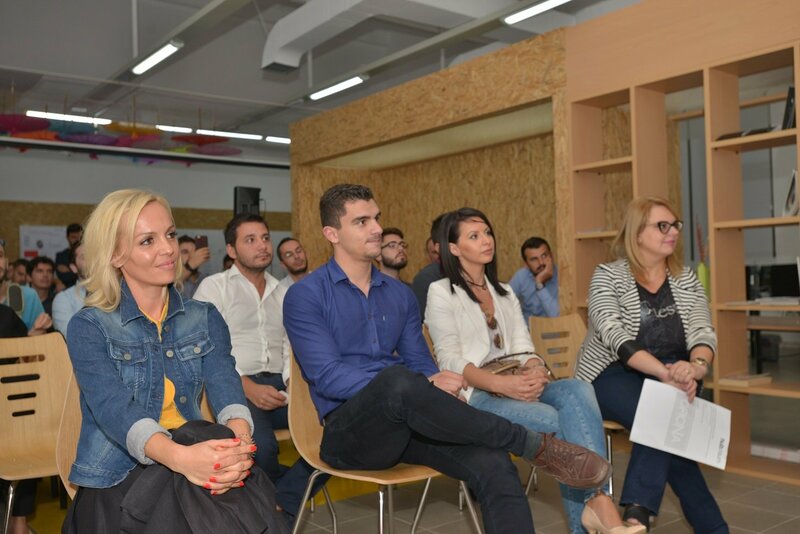 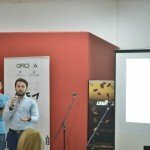 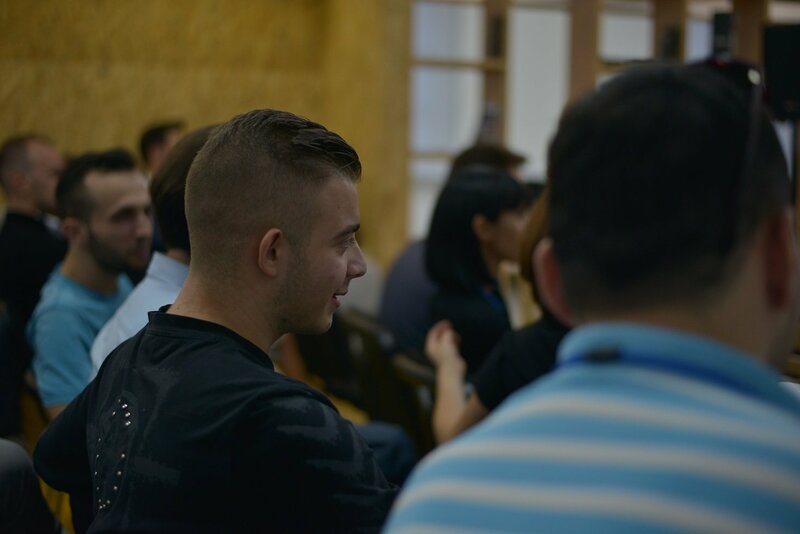 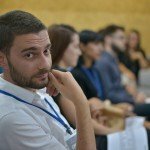 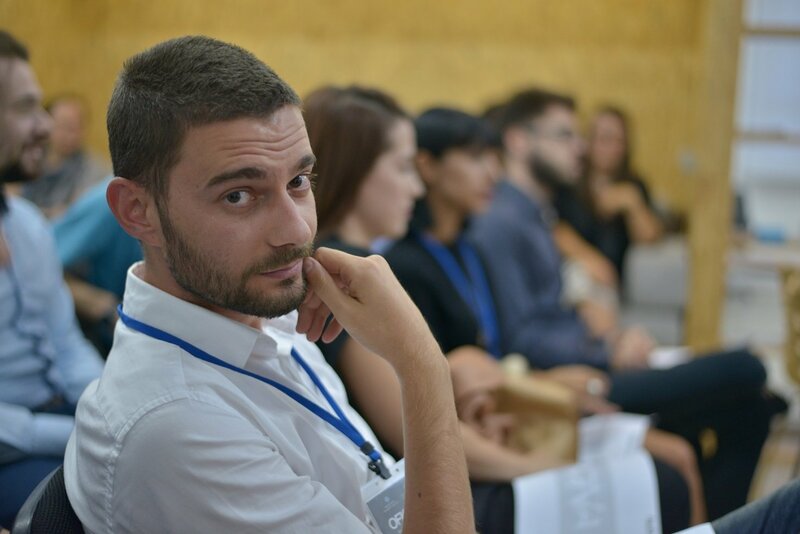 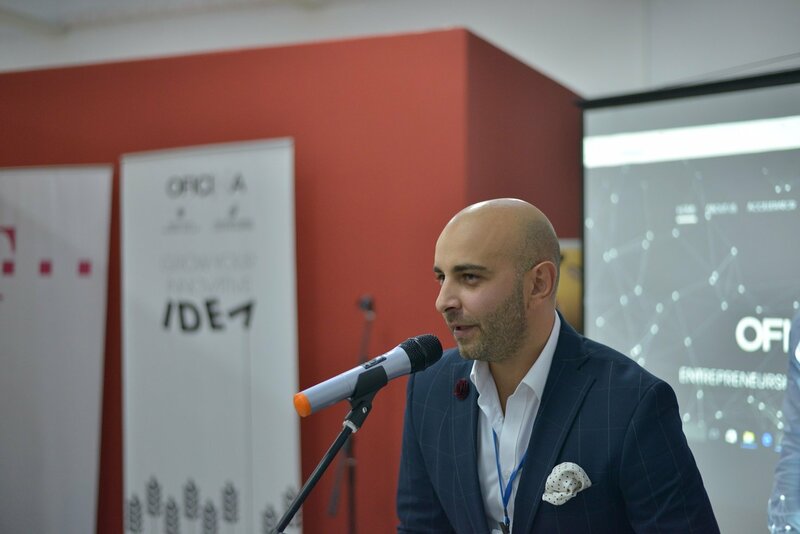 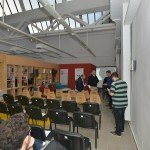 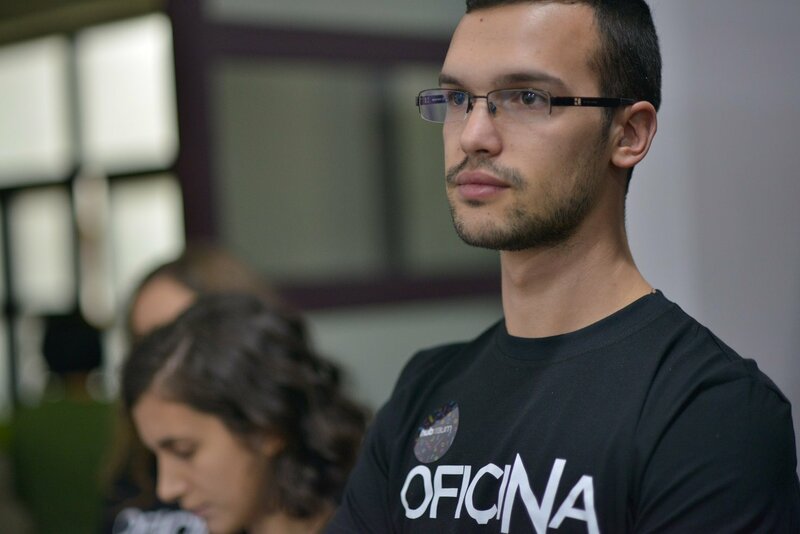 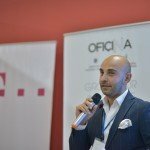 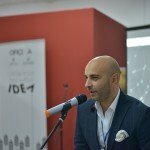 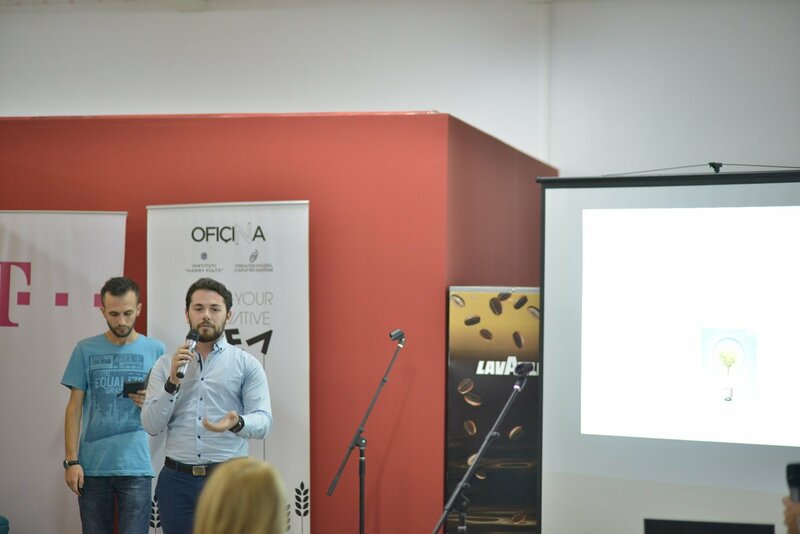 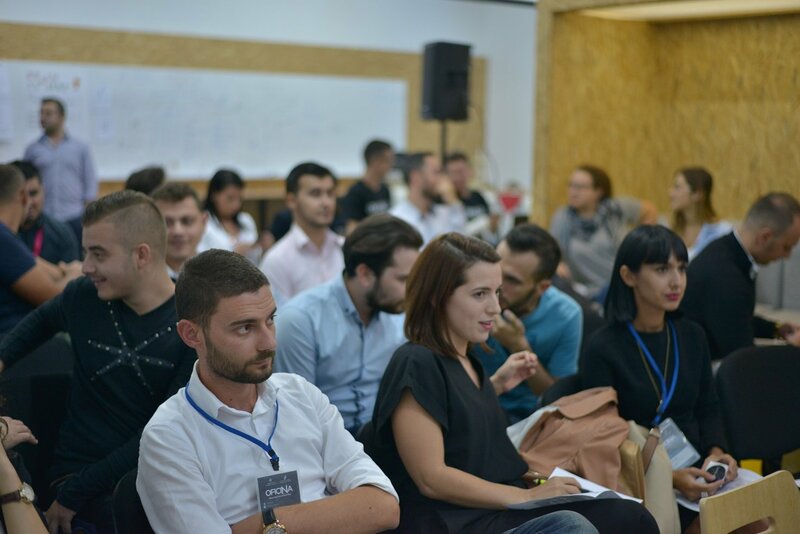 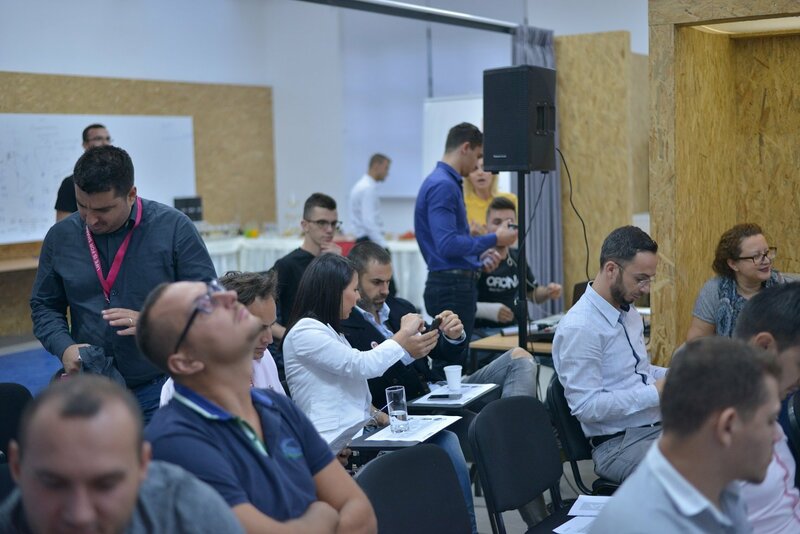 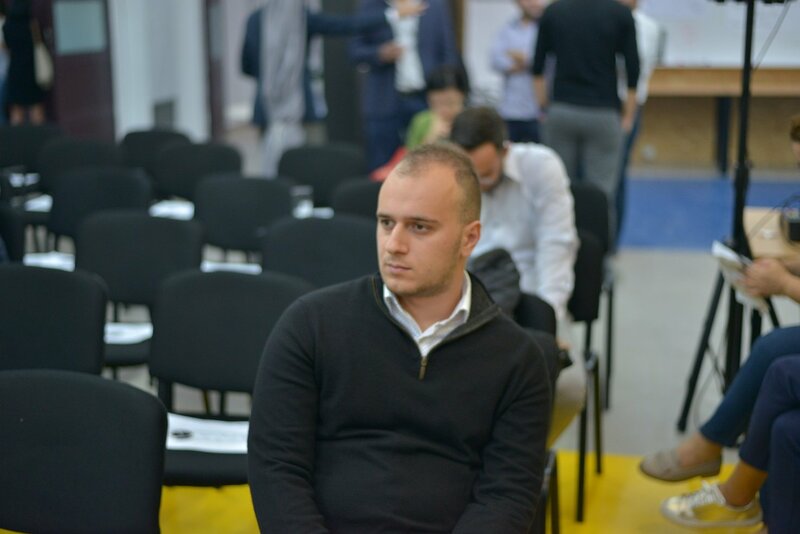 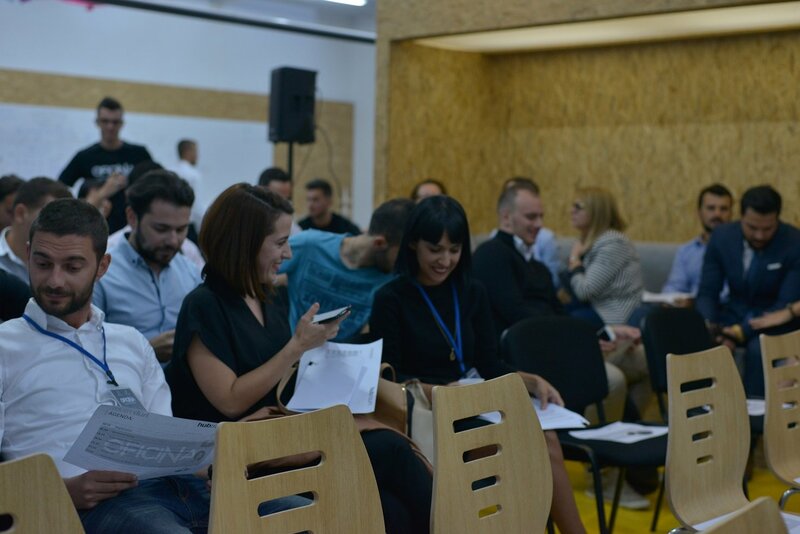 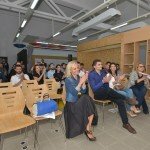 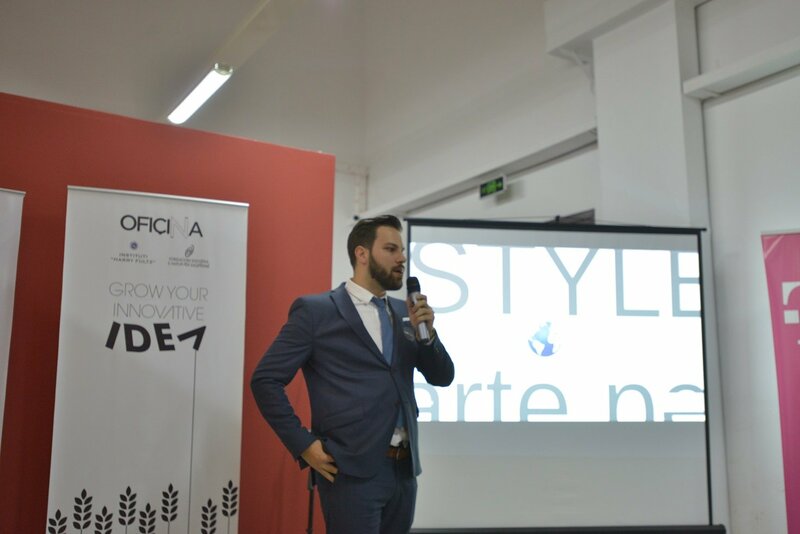 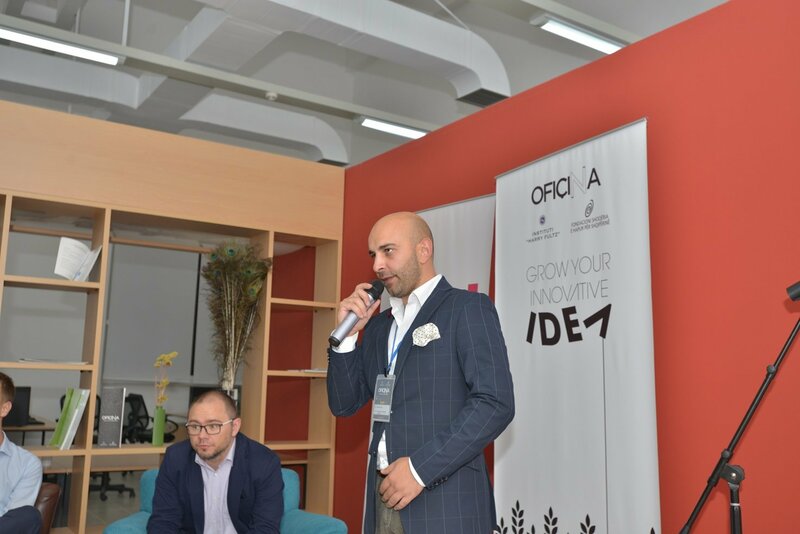 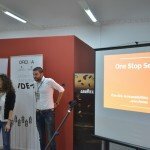 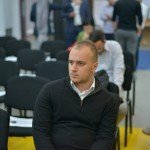 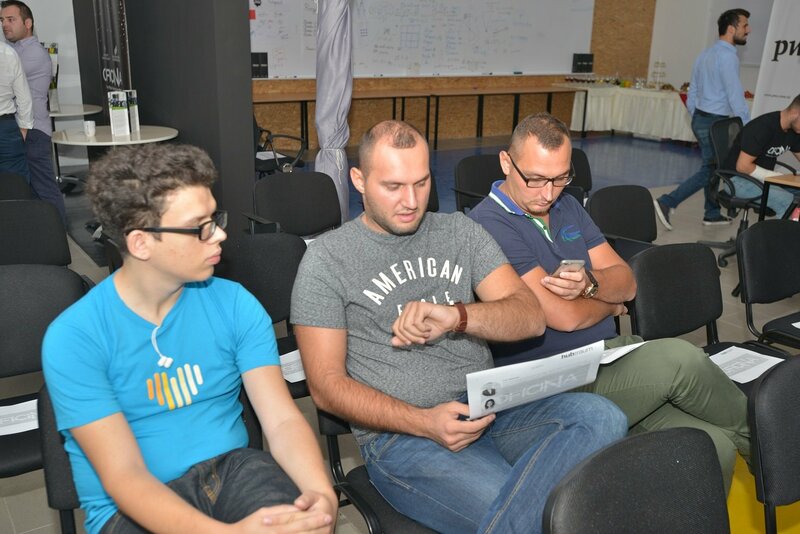 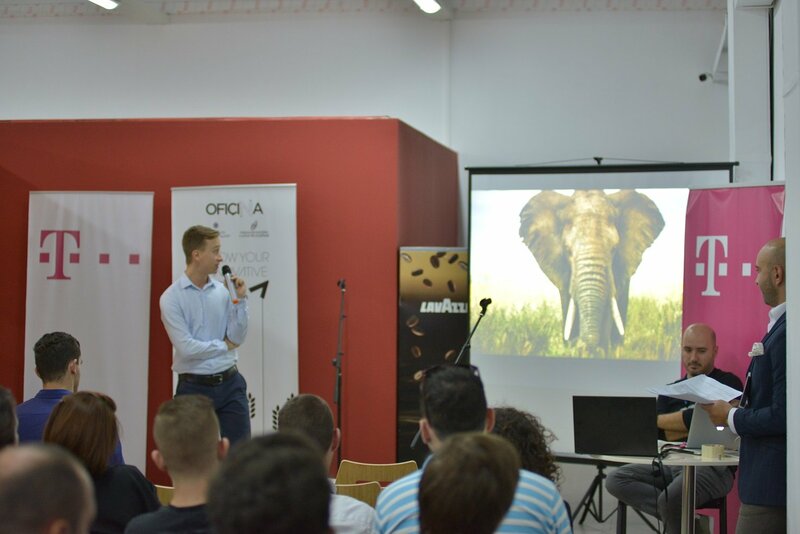 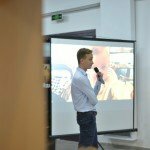 Speaker, judge and mentor in various startup initiatives such as Shift Split, Bitspiration and Startup Weekend. 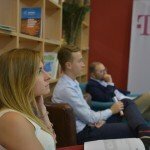 Lecturer on innovative business models at WSE University in Krakow. 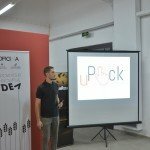 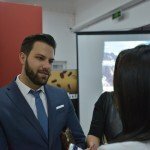 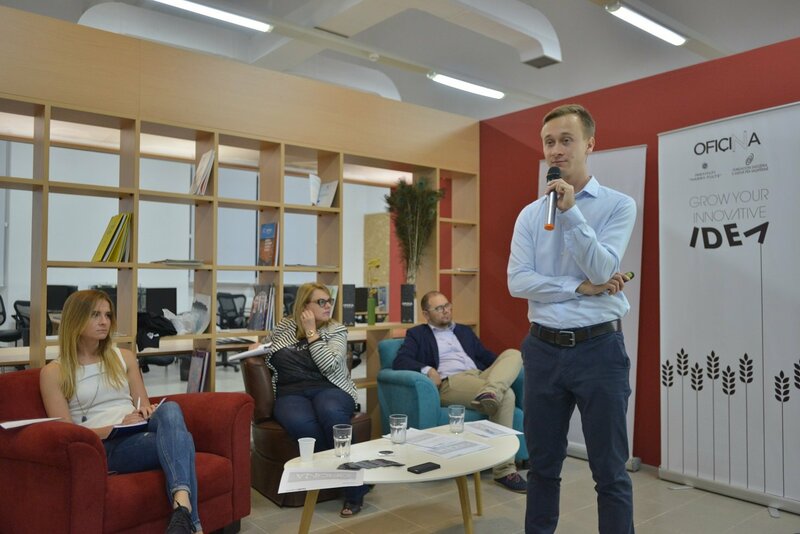 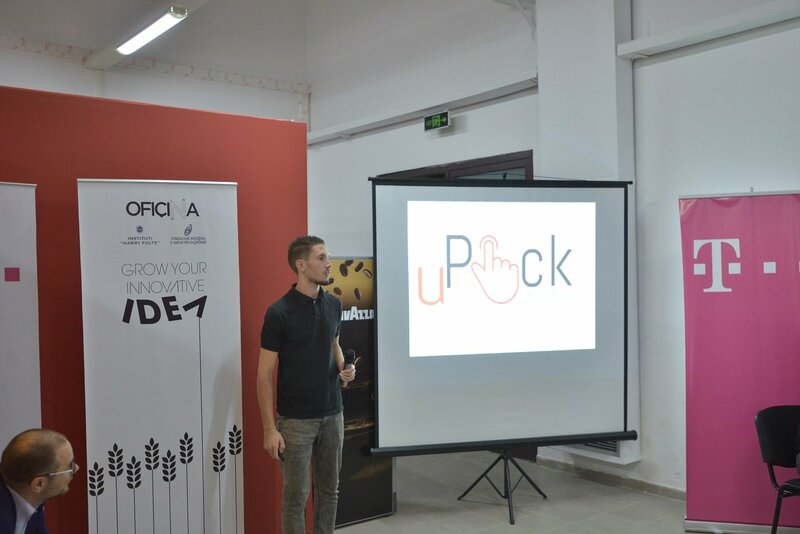 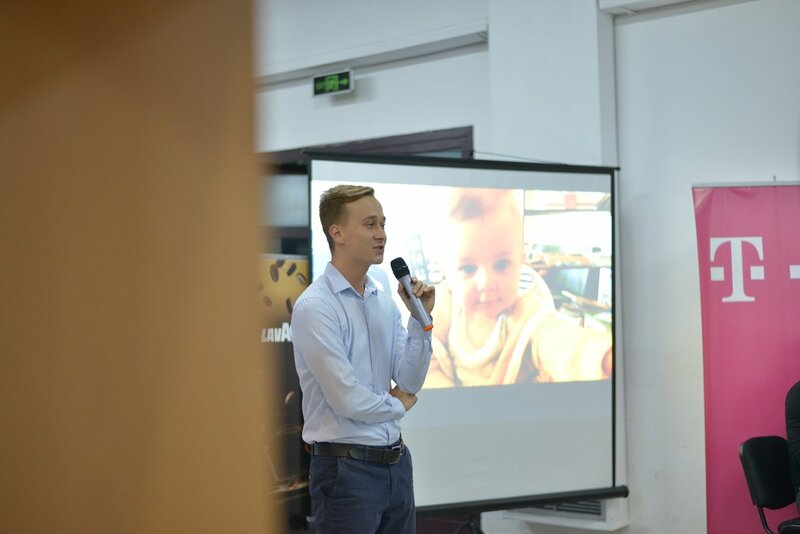 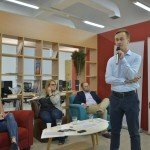 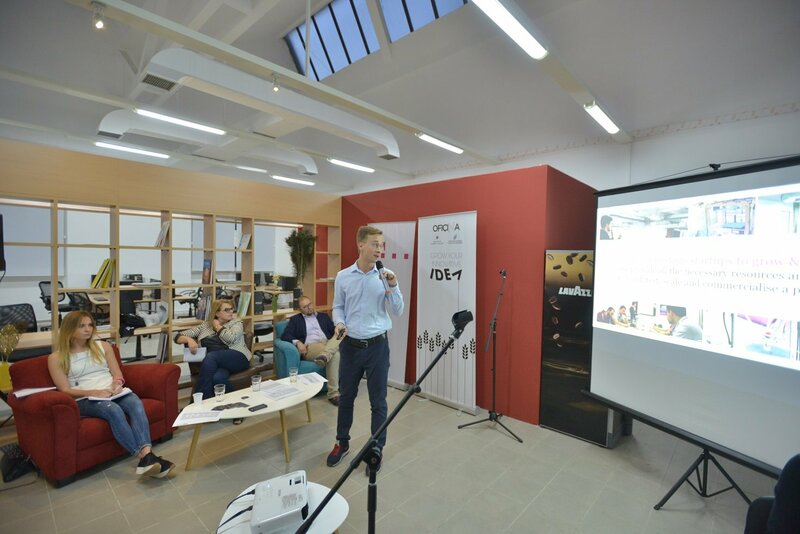 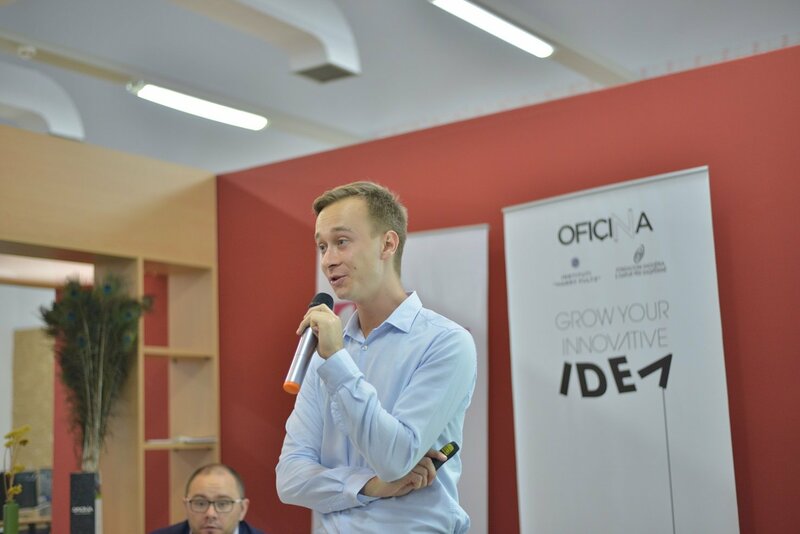 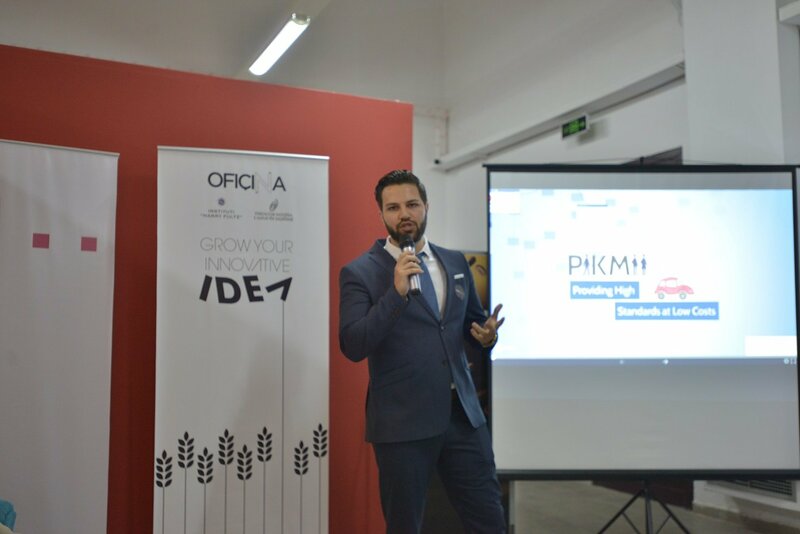 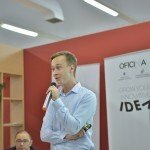 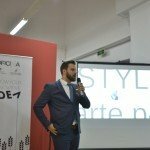 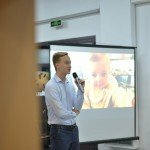 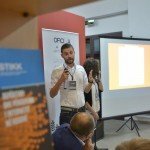 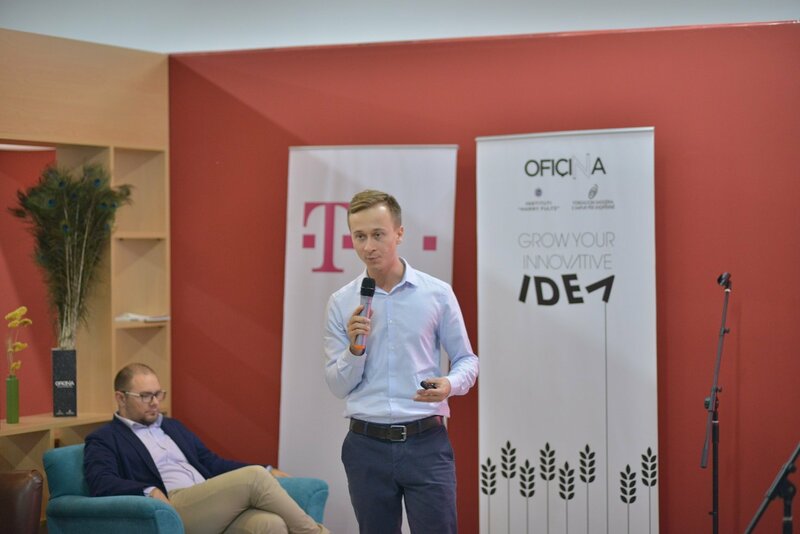 Filip is working in startup/innovation industry for 7 years and has previously coordinated various technology meetups in Poland, created his m-health startup and run company specializing in training IT project managers. 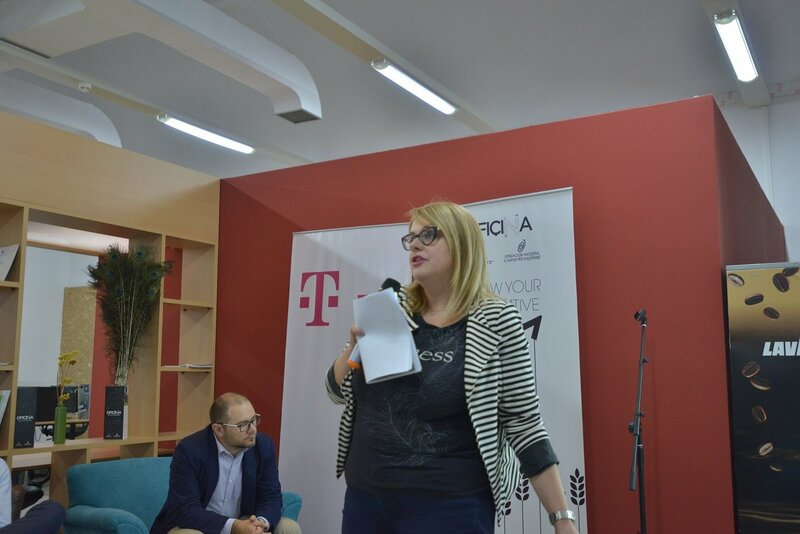 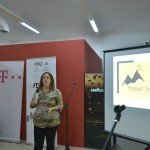 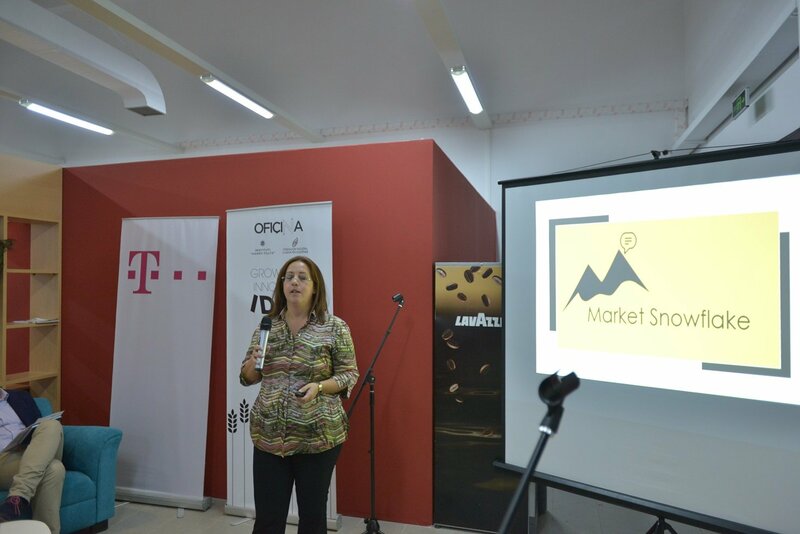 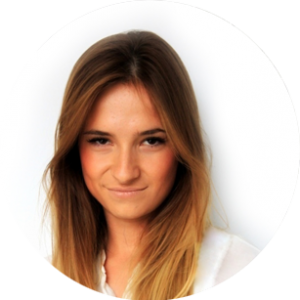 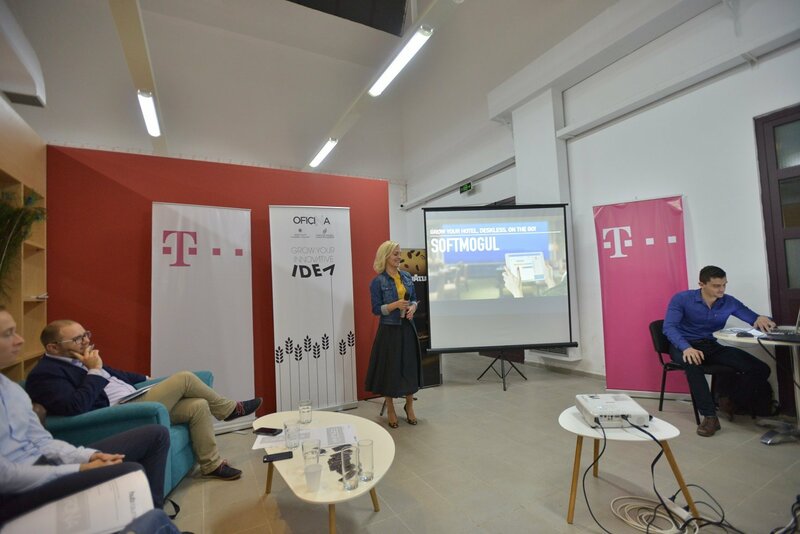 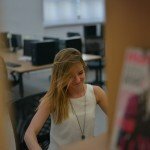 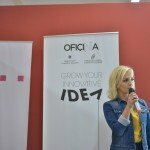 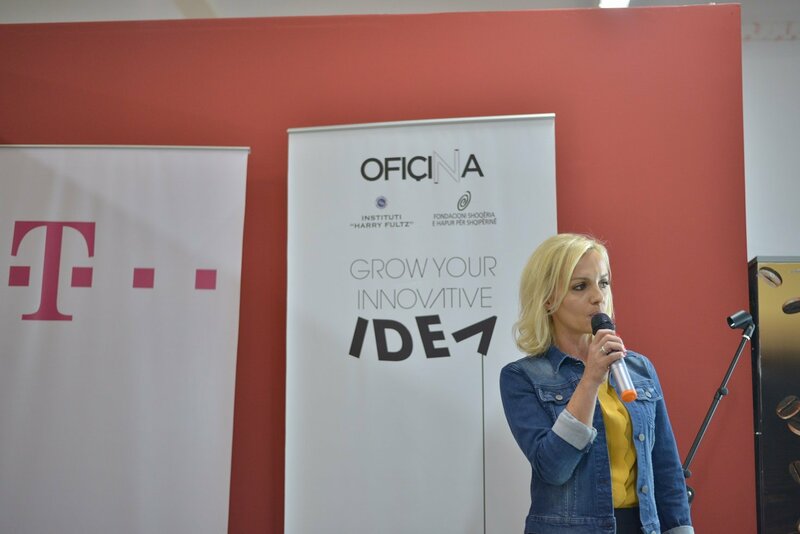 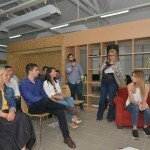 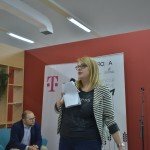 Izabela is responsible for coordinating new initiatives aimed at implementation of innovative products and services offered by startups among T-Mobile B2B customers. 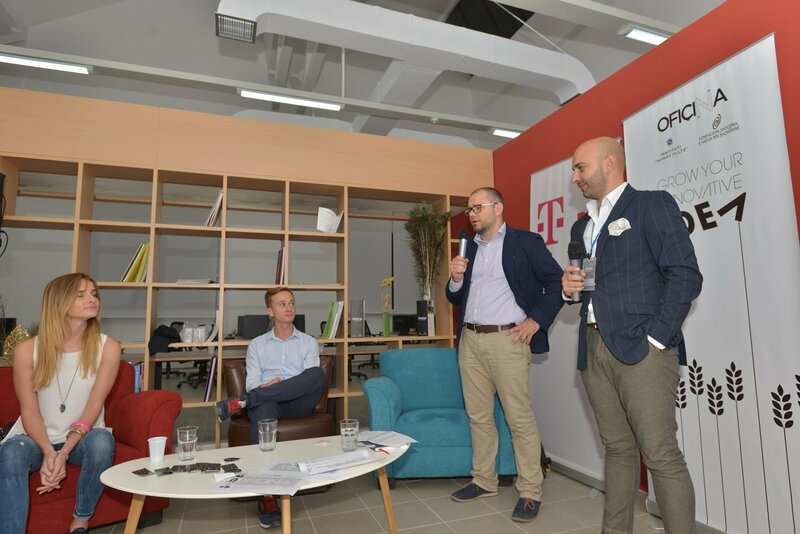 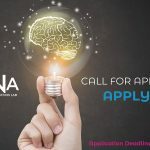 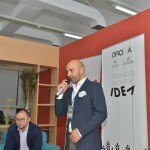 Focused on open innovation: partnerships with both grown-up and startups, new services monetization (virtual reality, omnichannel, retail, logistic), business and product development. 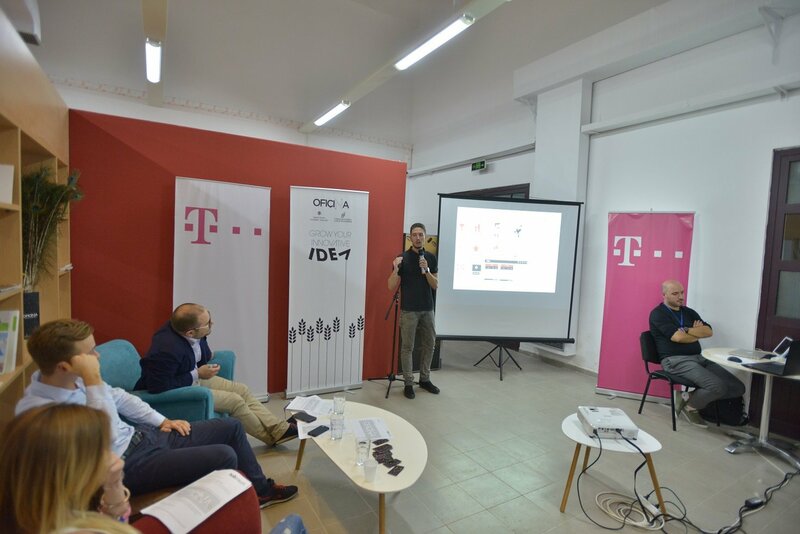 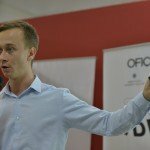 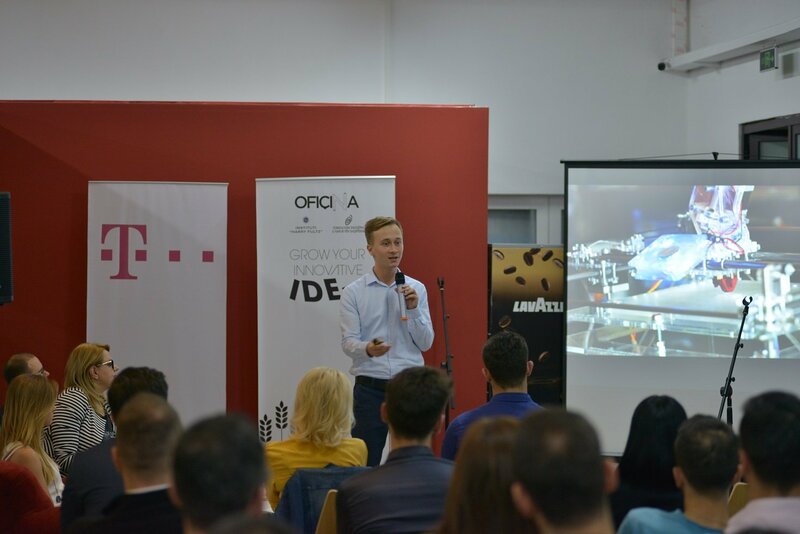 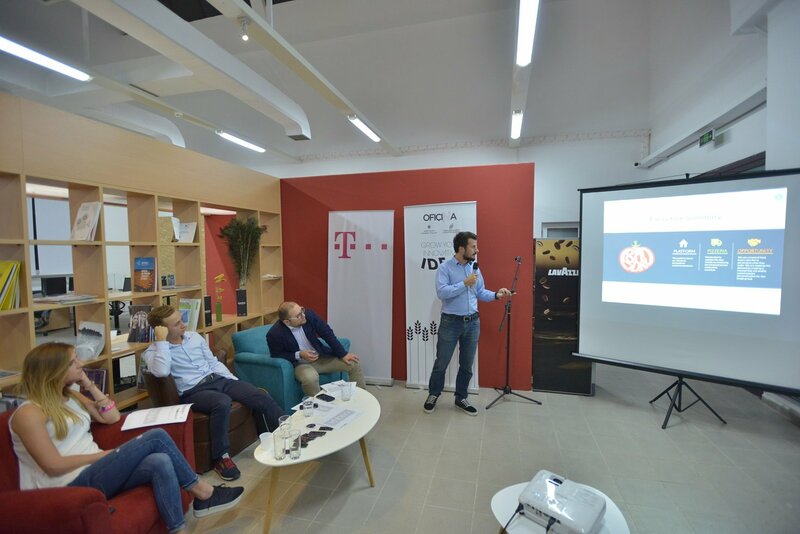 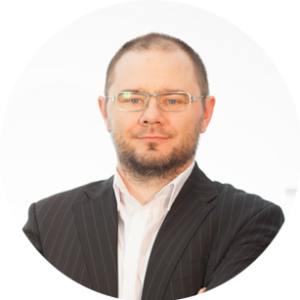 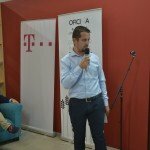 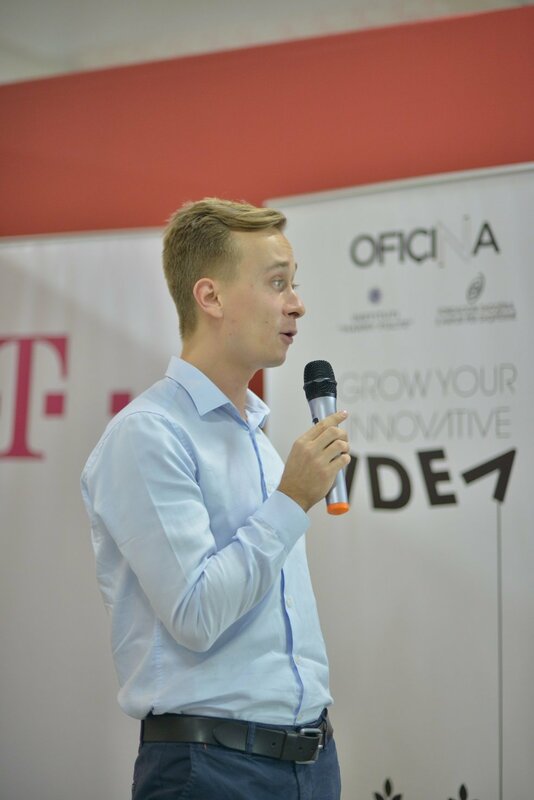 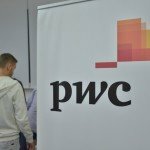 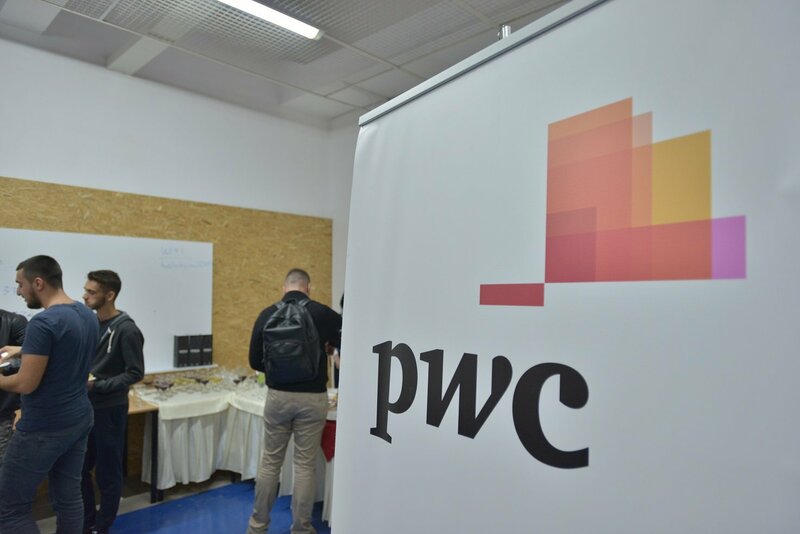 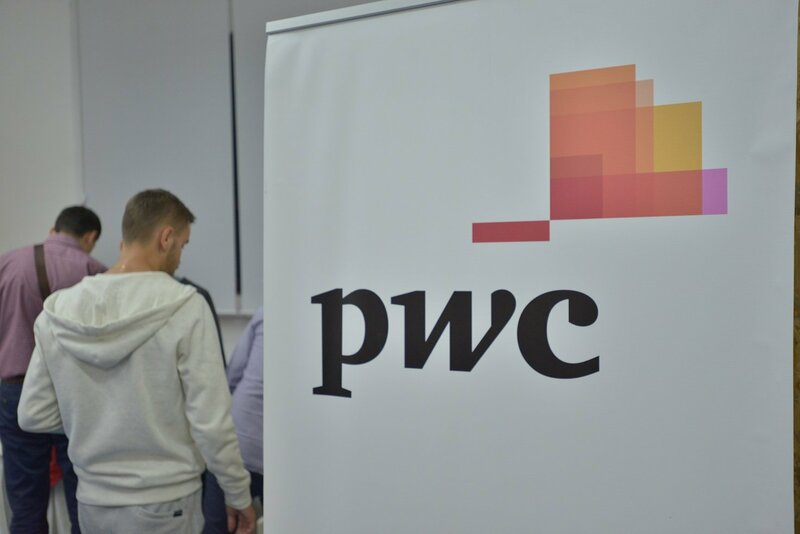 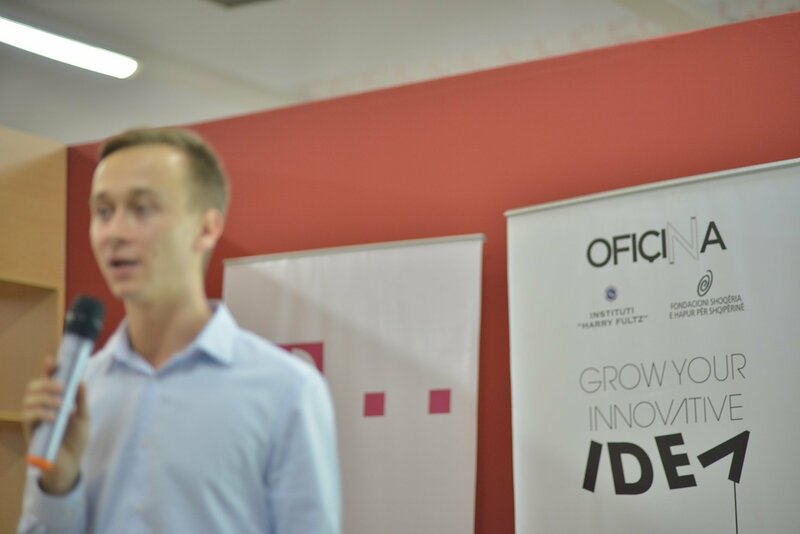 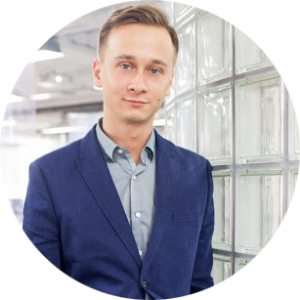 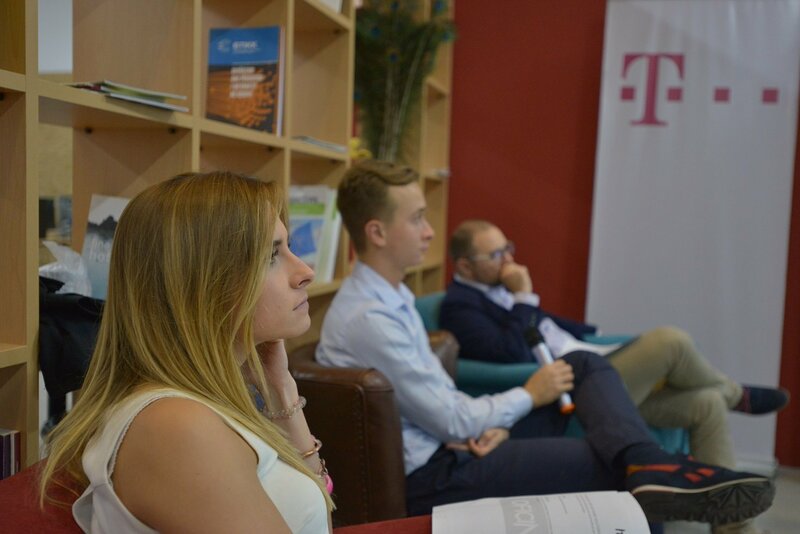 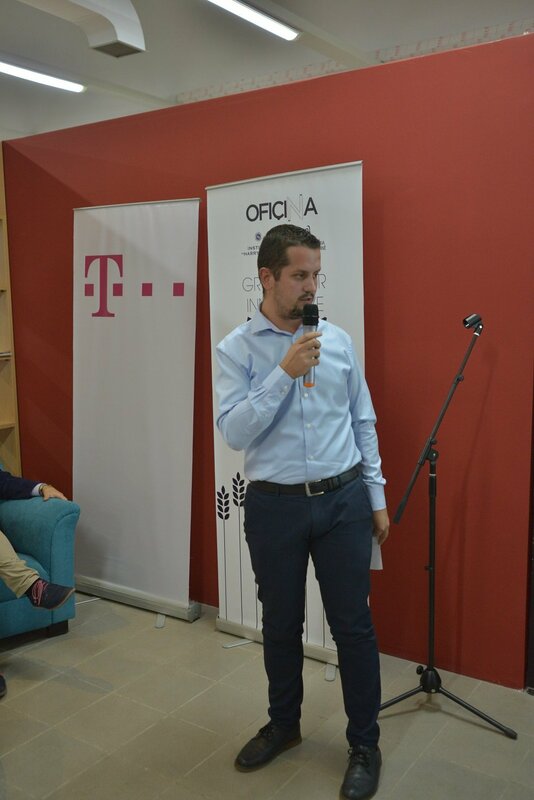 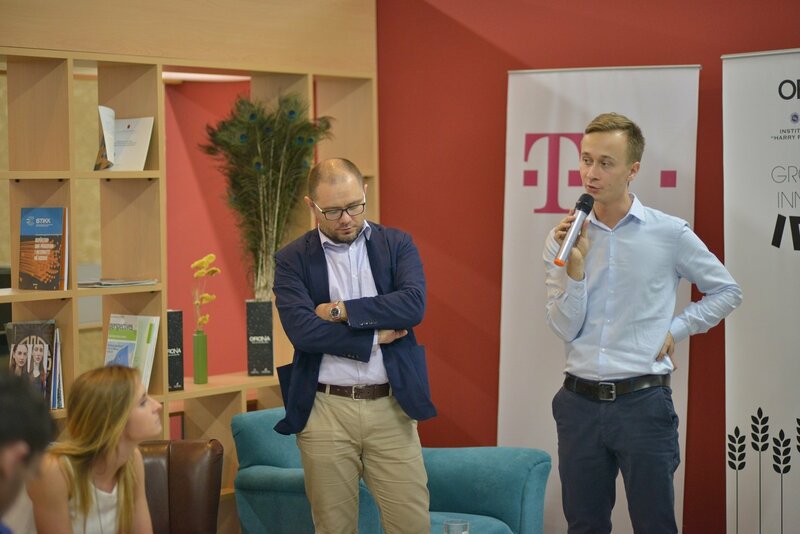 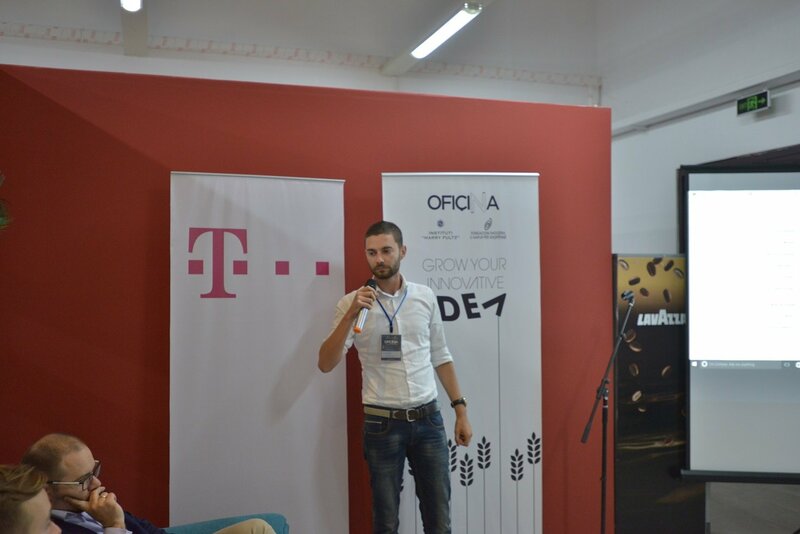 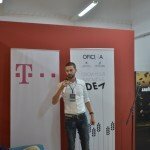 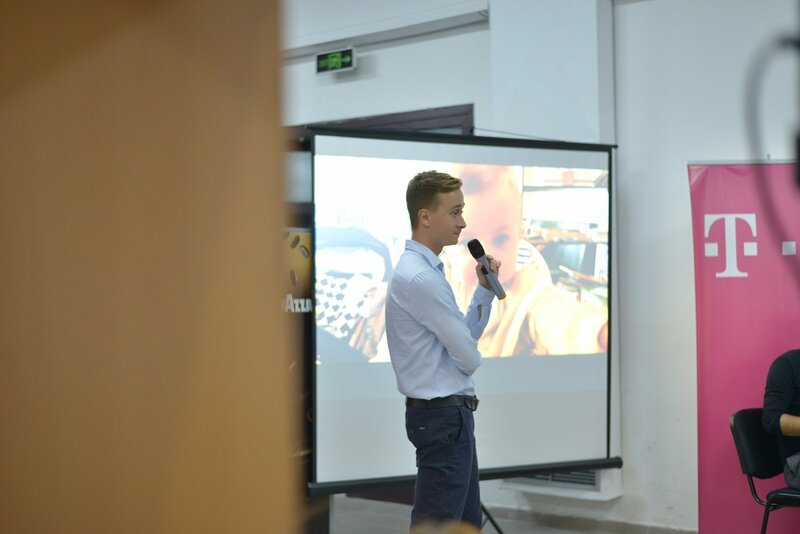 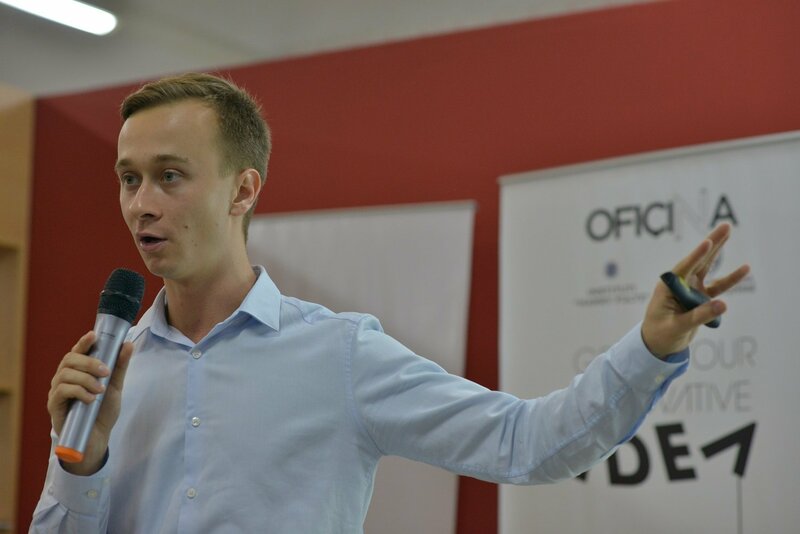 Wojciech deals with commercial deployments and establishing cooperation between startups and T-Mobile branches. 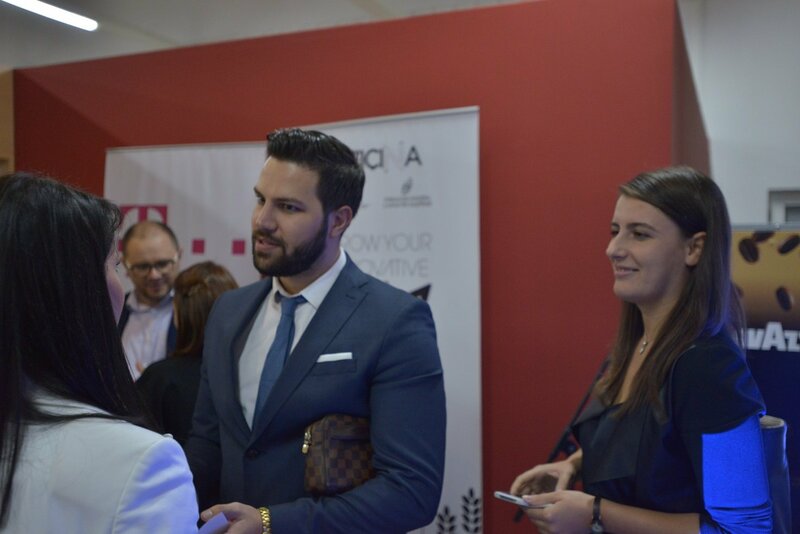 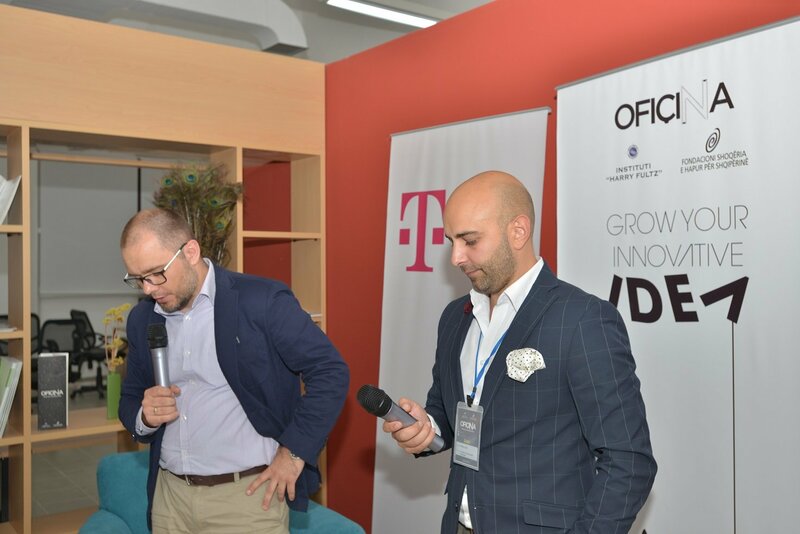 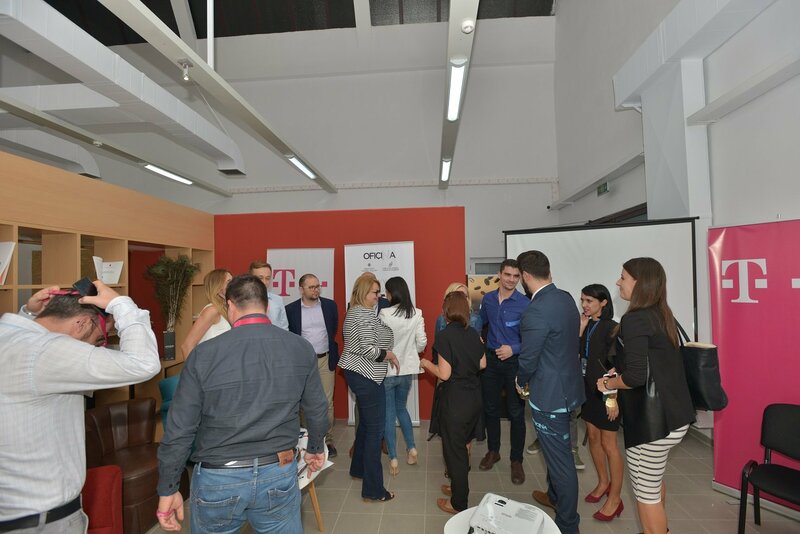 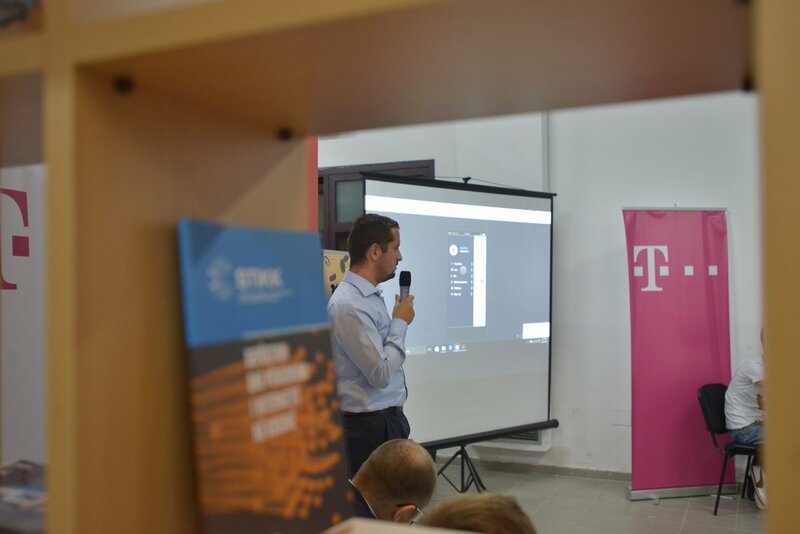 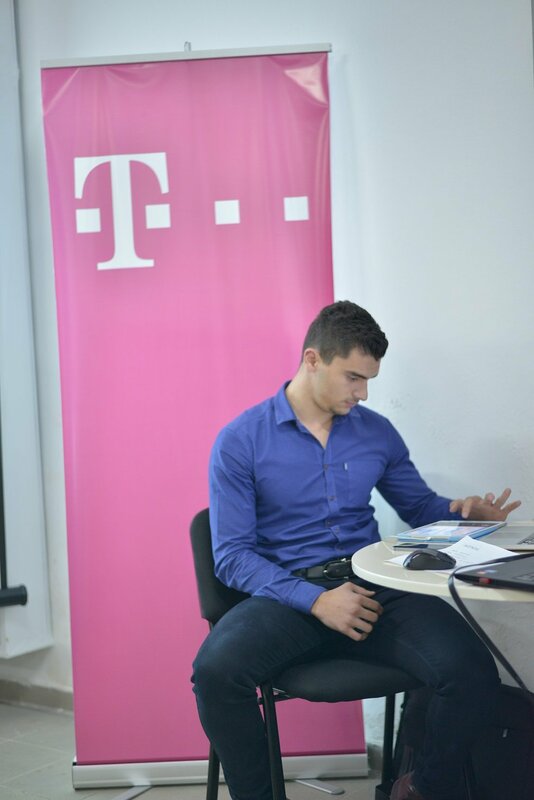 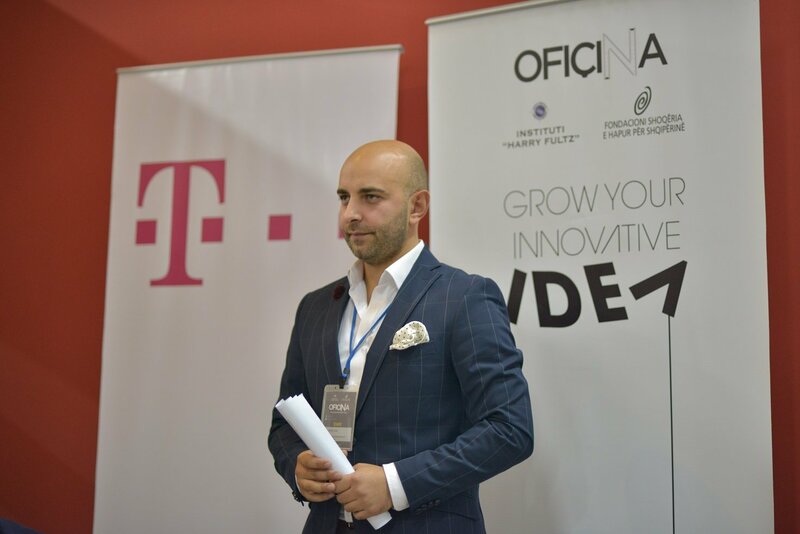 If you want to commercialize or scale your solution – Wojciech can help you by finding business partner among T-Mobile units and key T-Mobile customers. 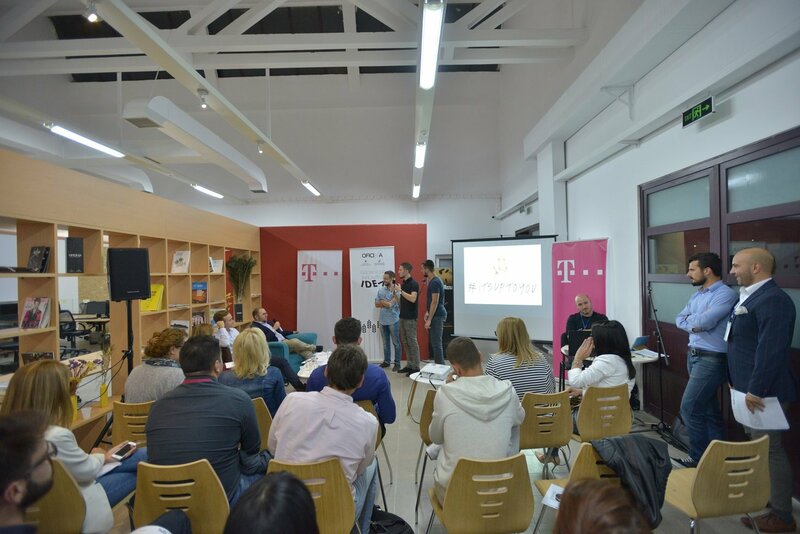 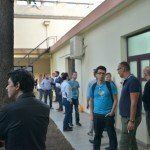 Would you like to test your product with telecom and potential customers? 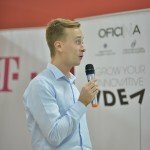 Ask Wojciech for support. 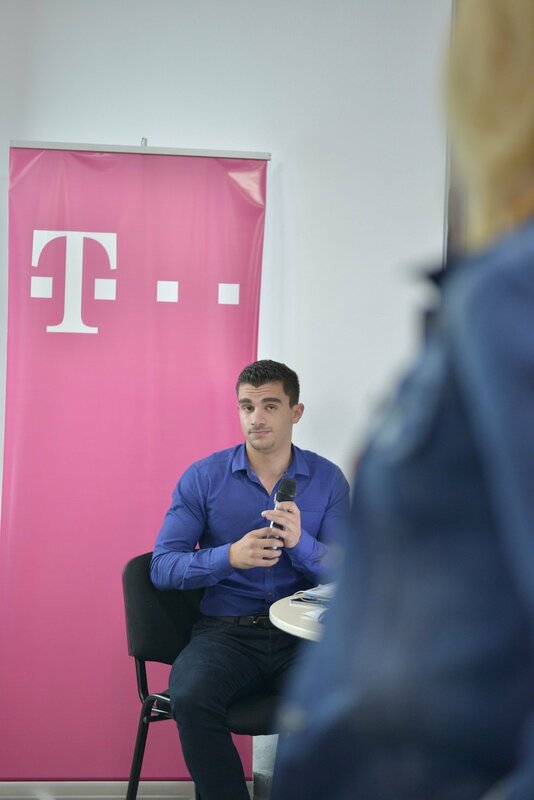 His role is to make the most of your cooperation with Deutsche Telekom.